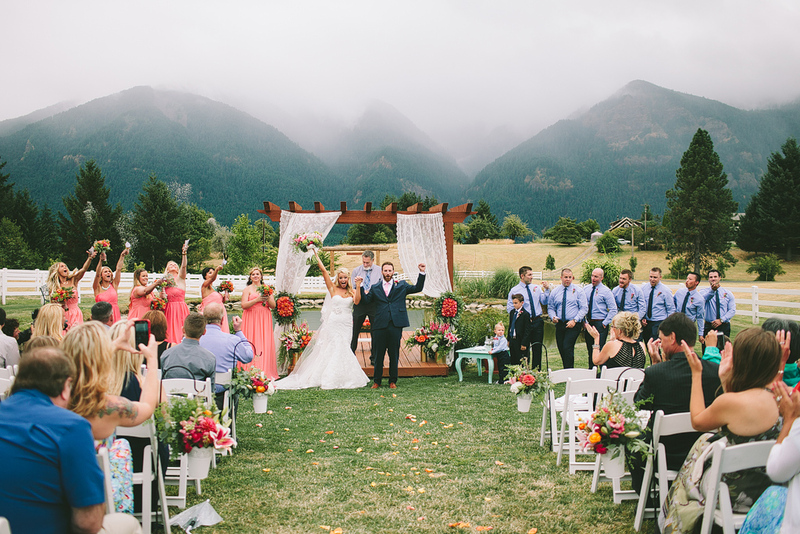 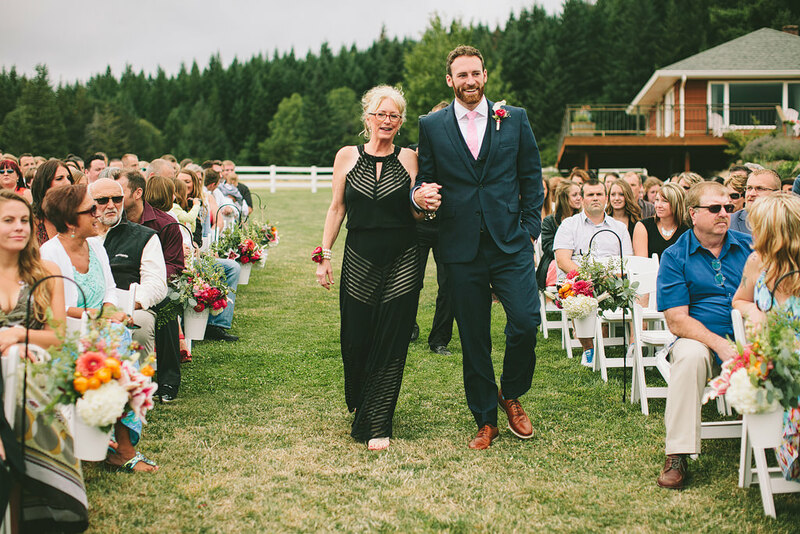 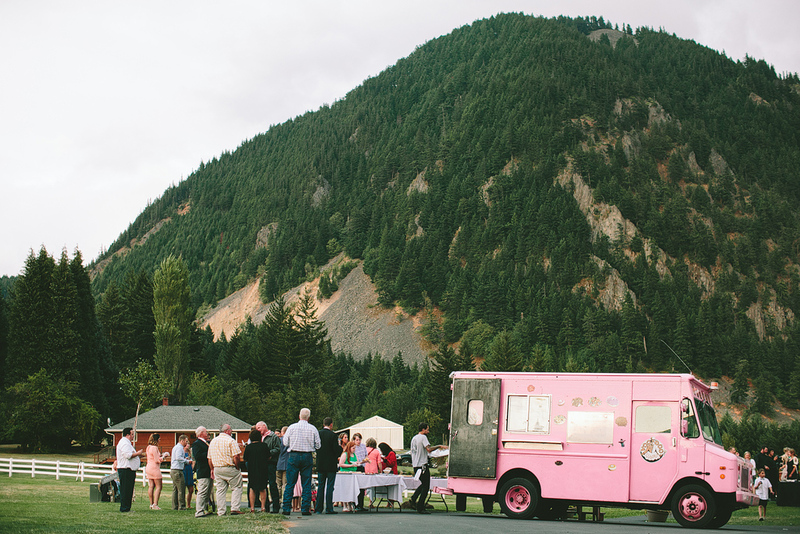 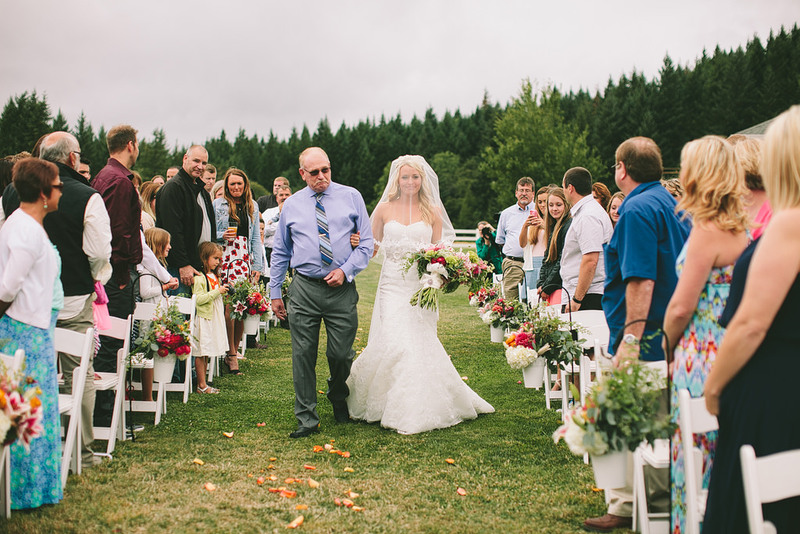 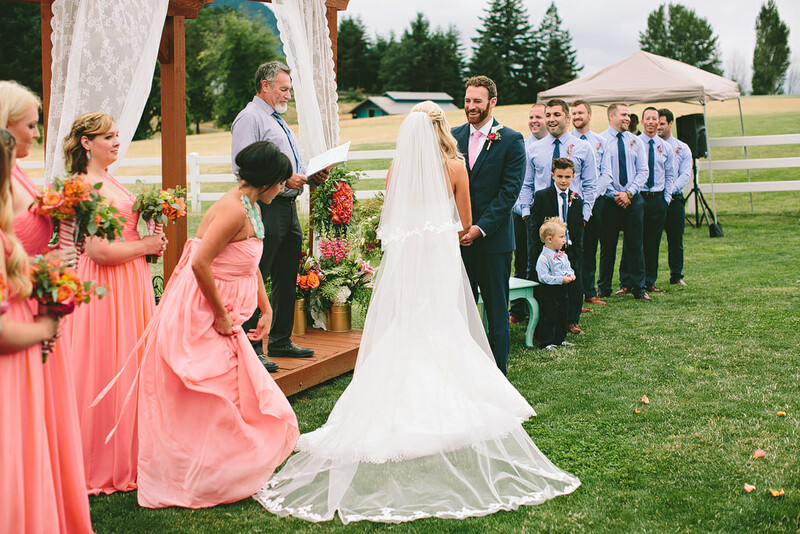 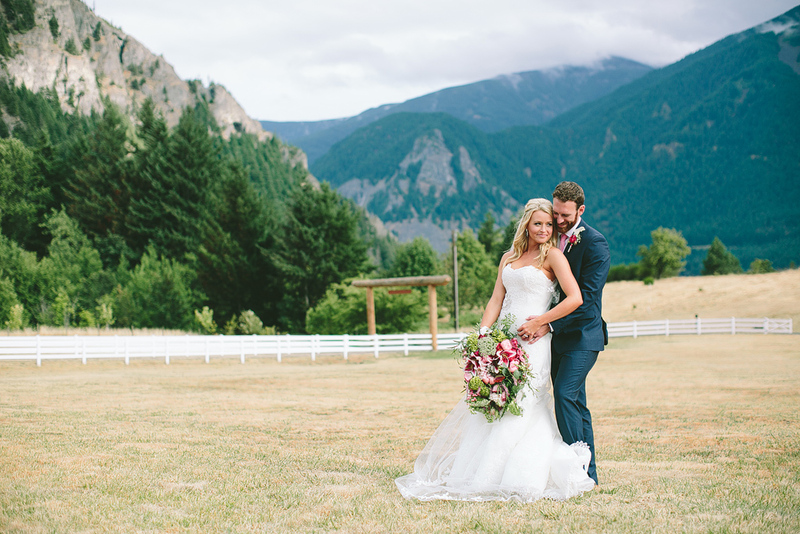 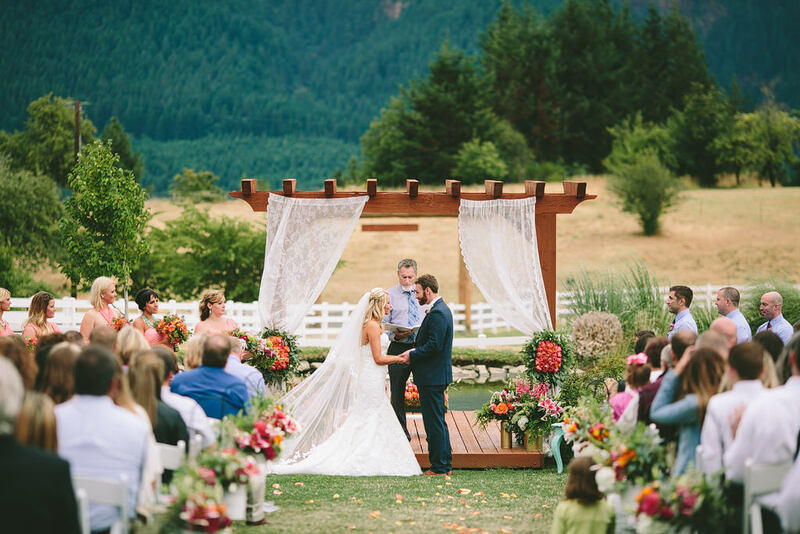 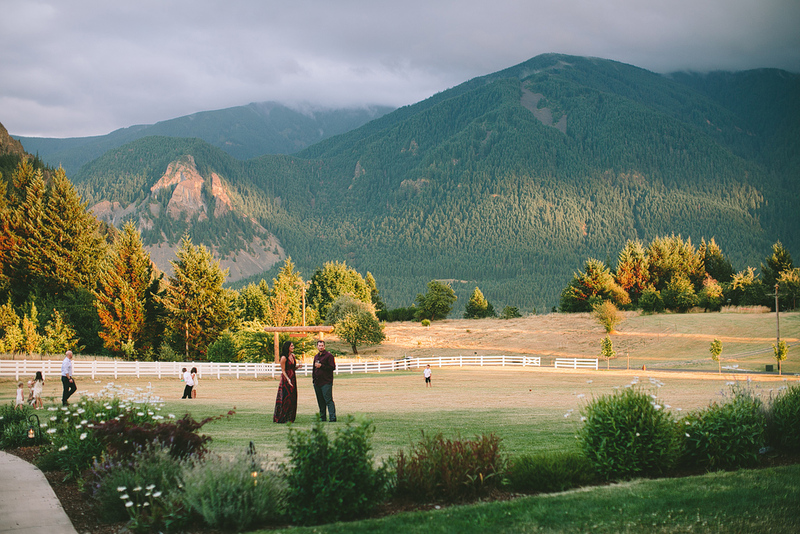 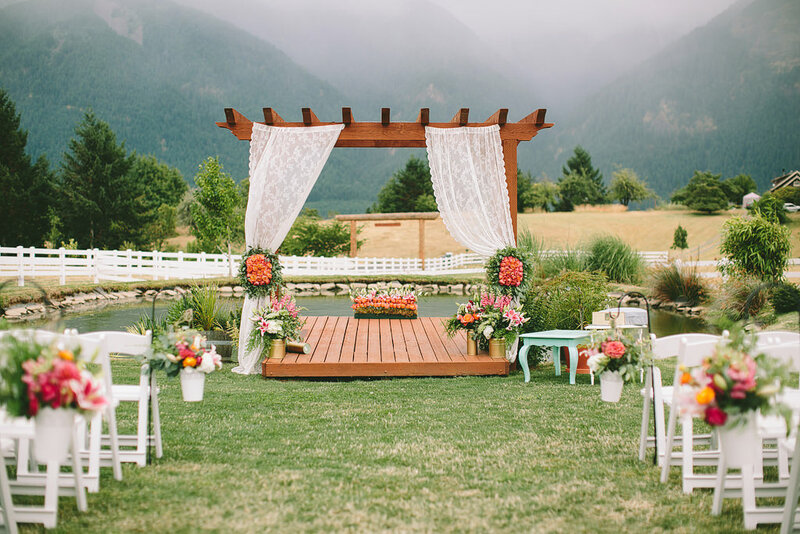 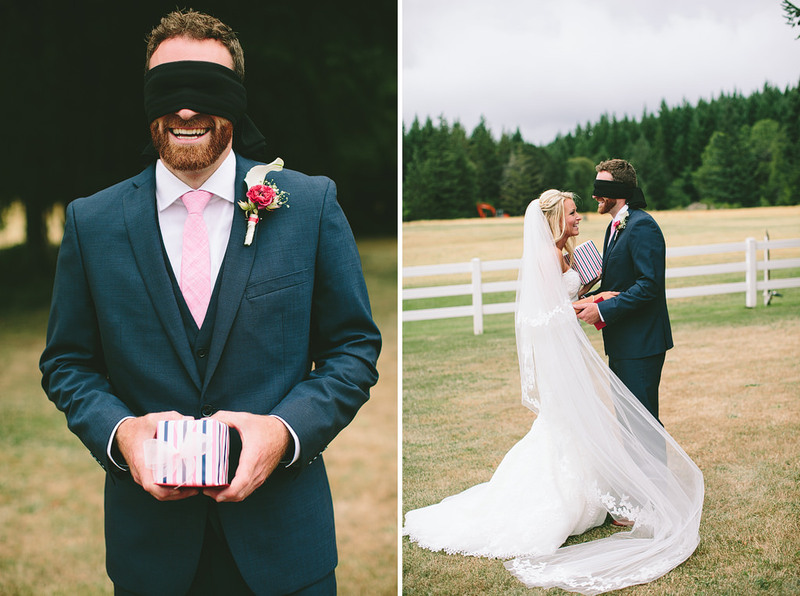 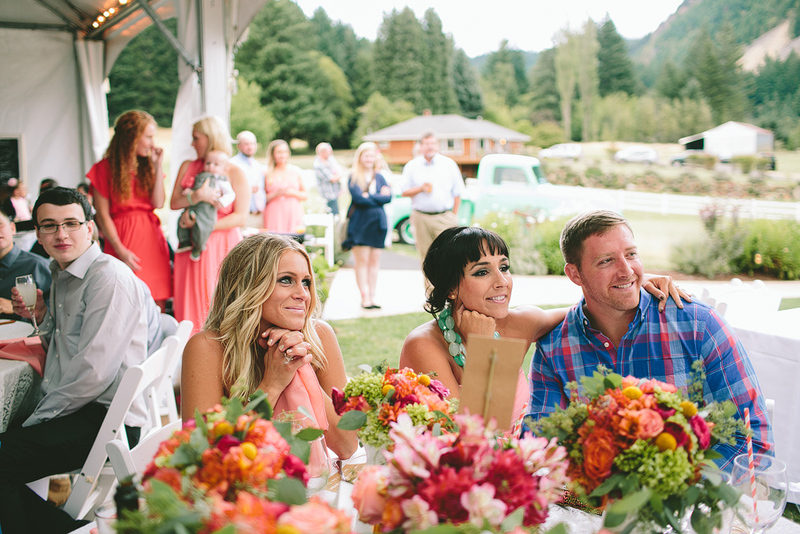 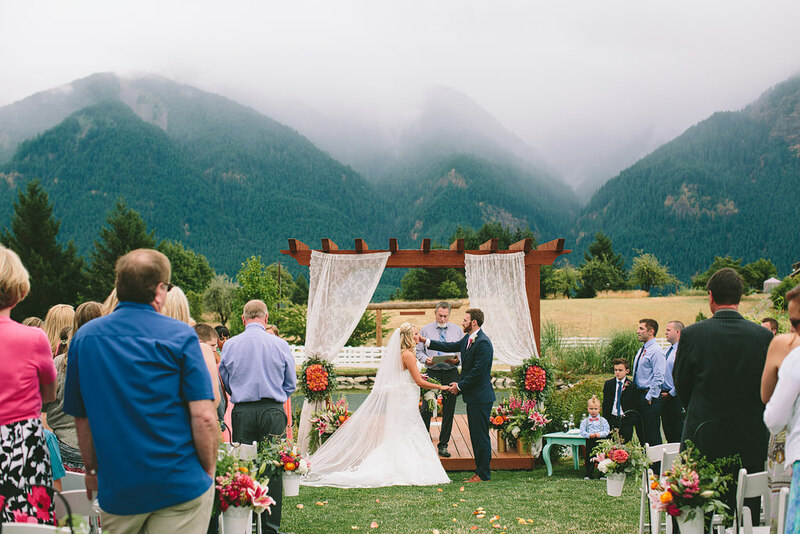 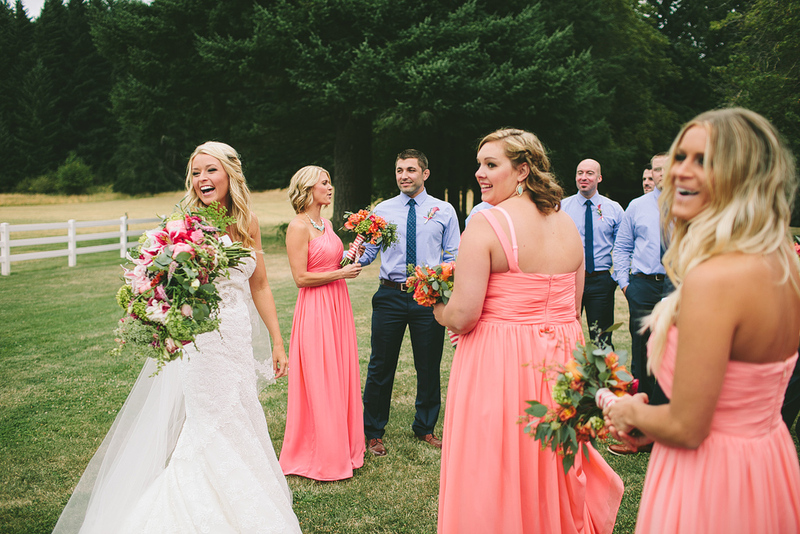 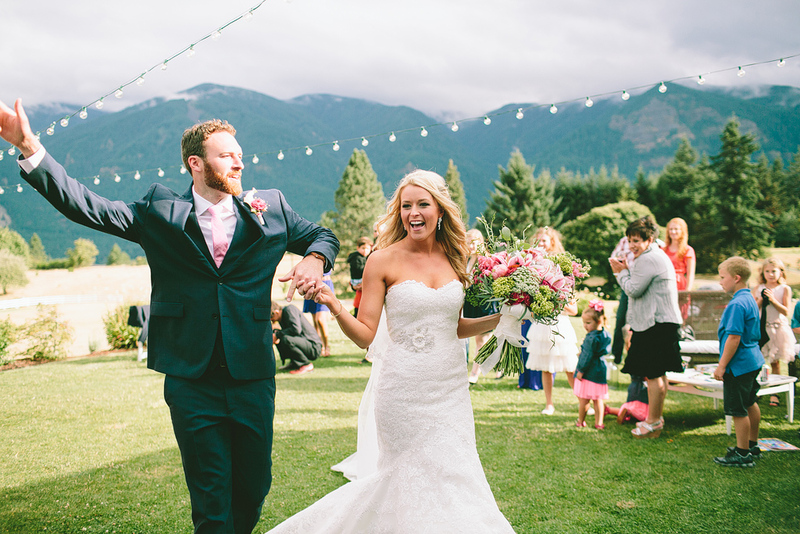 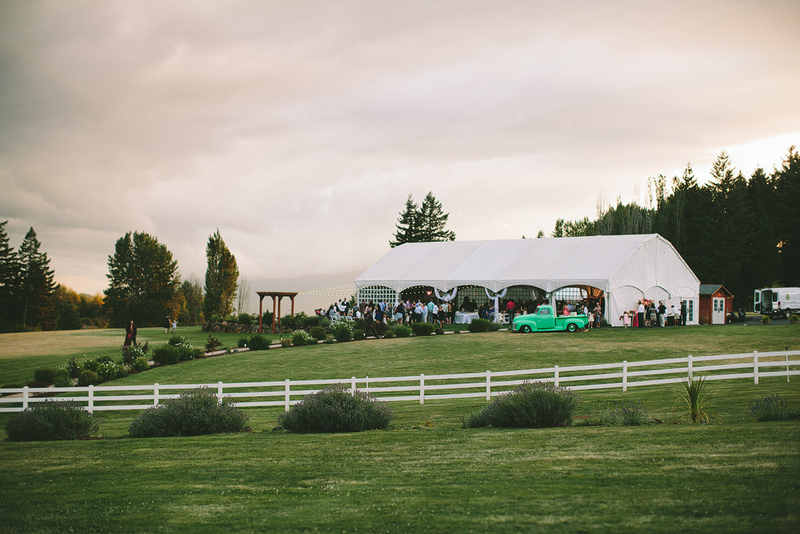 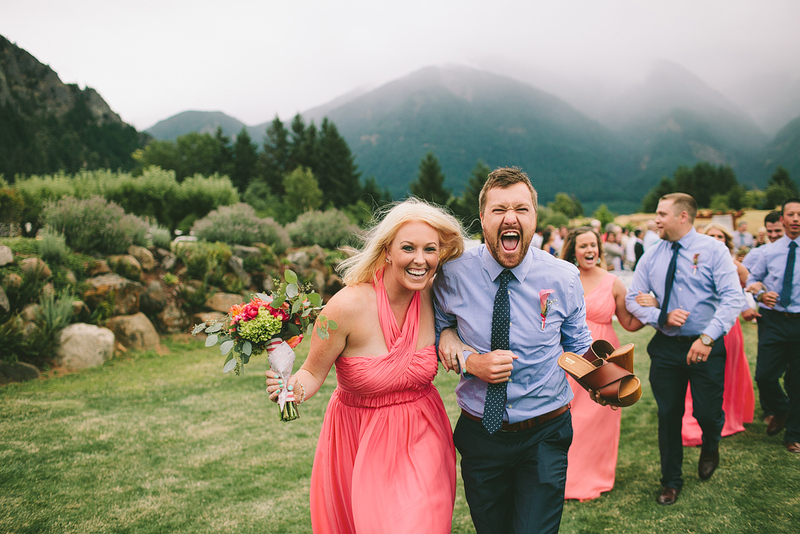 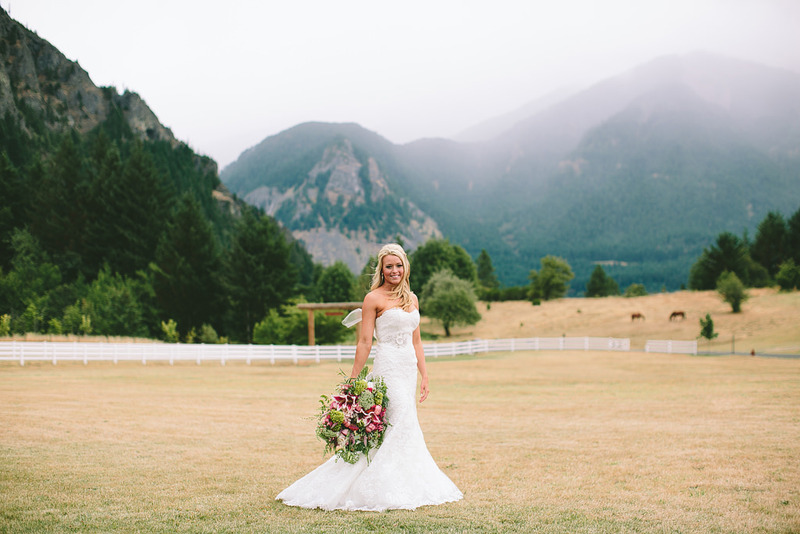 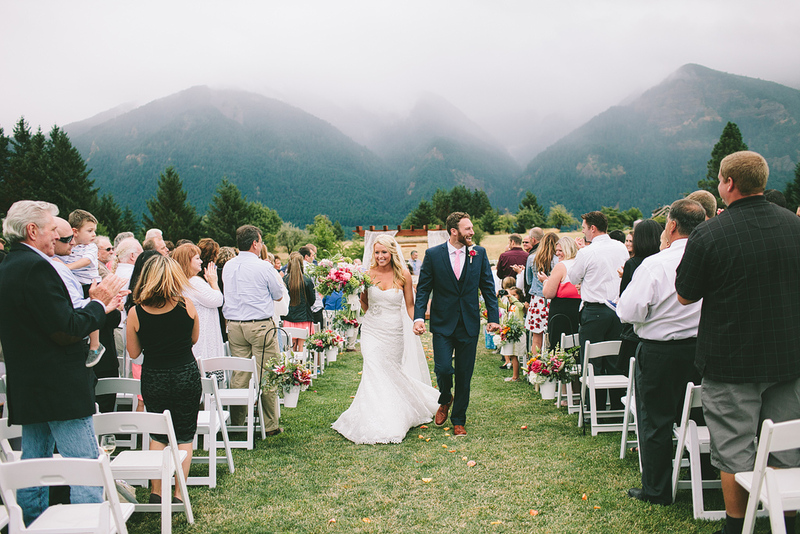 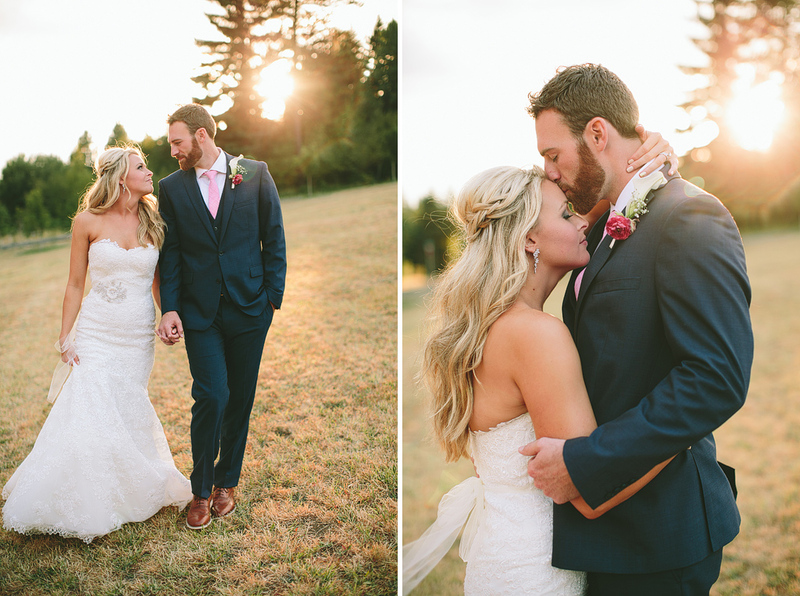 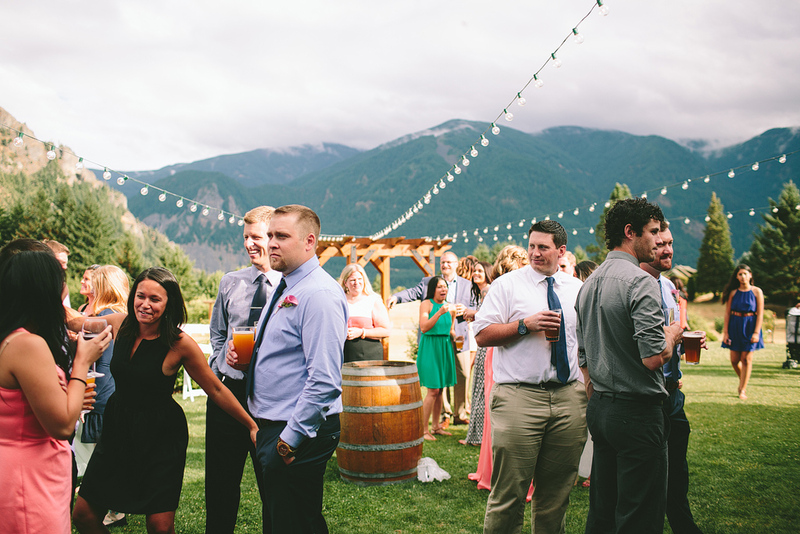 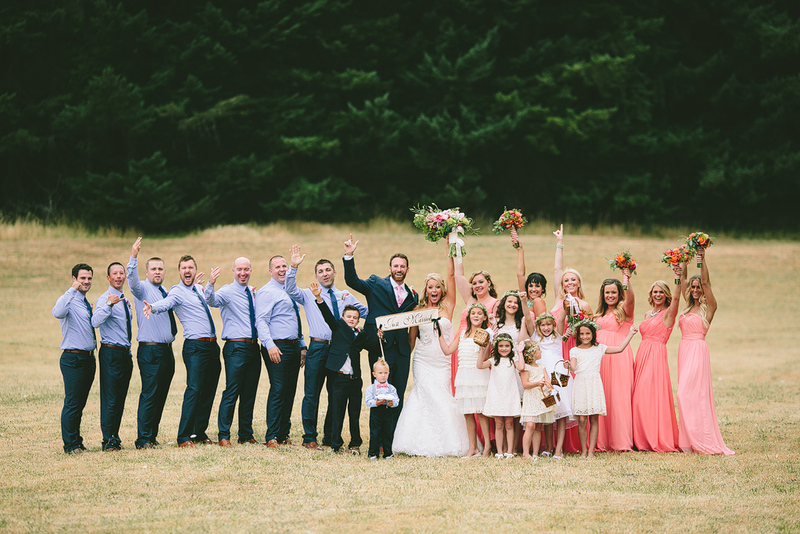 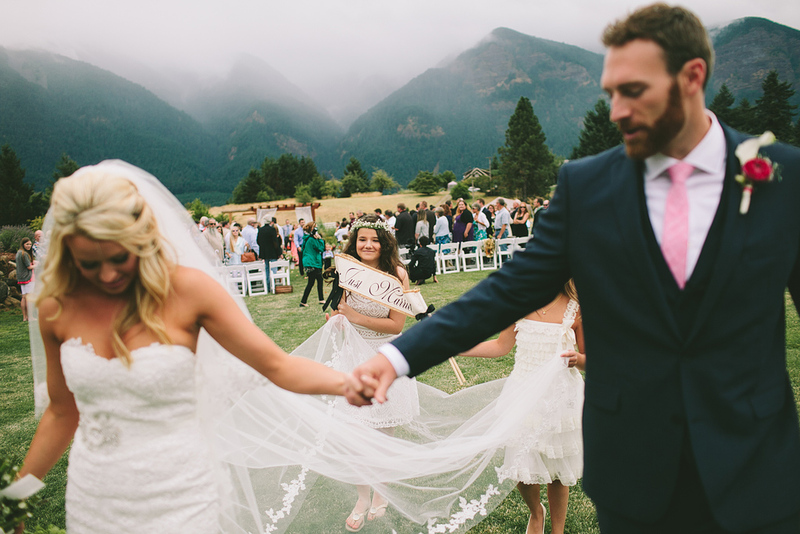 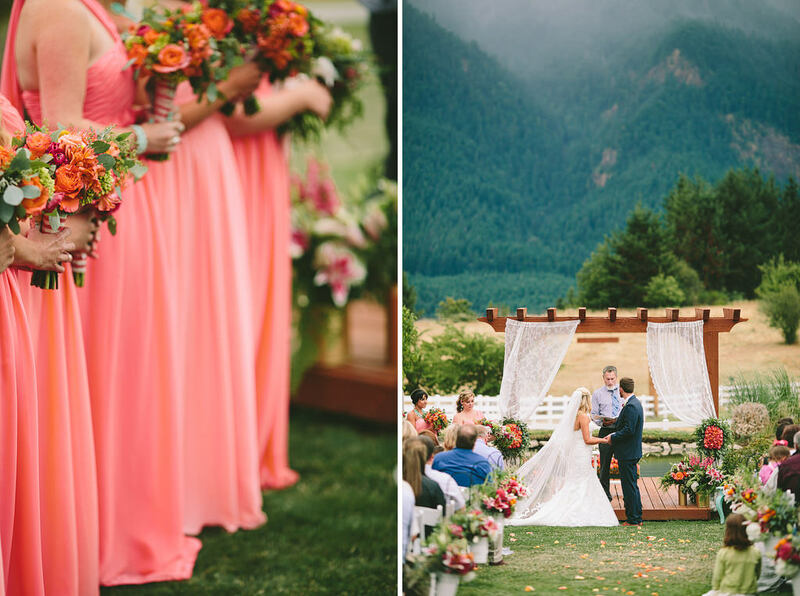 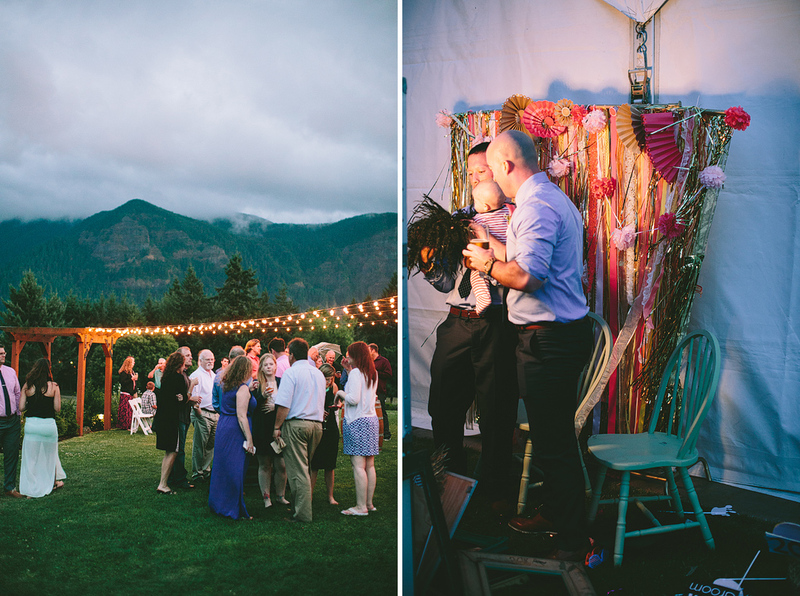 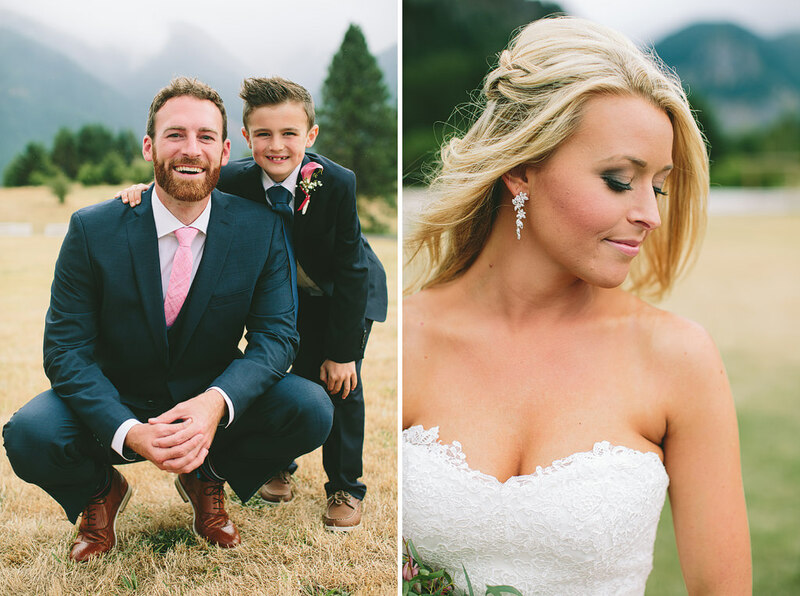 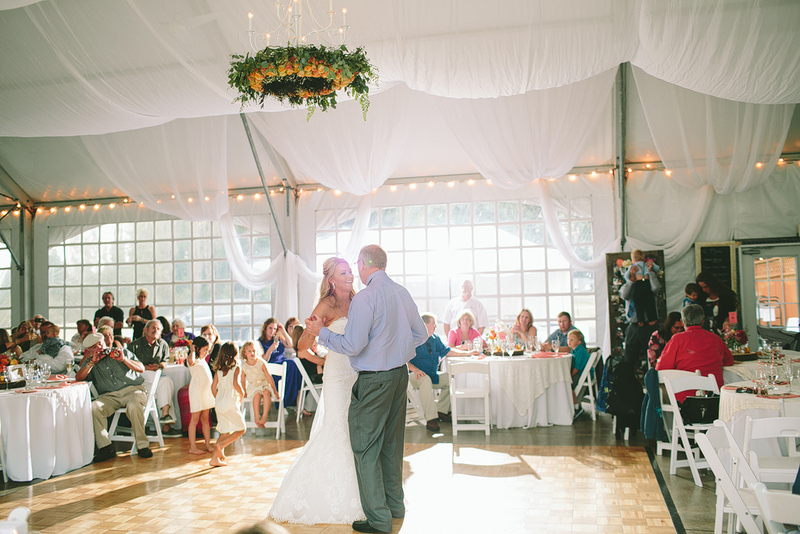 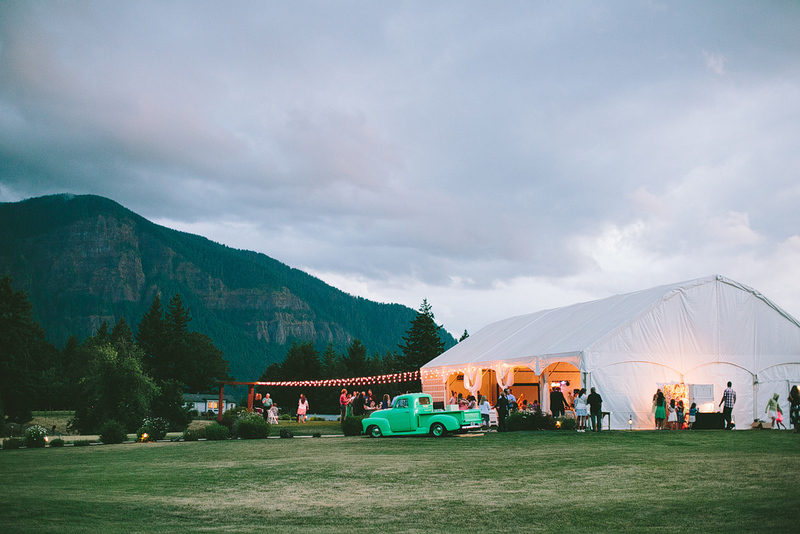 Jami and Kyle married in such a magical part of the country! 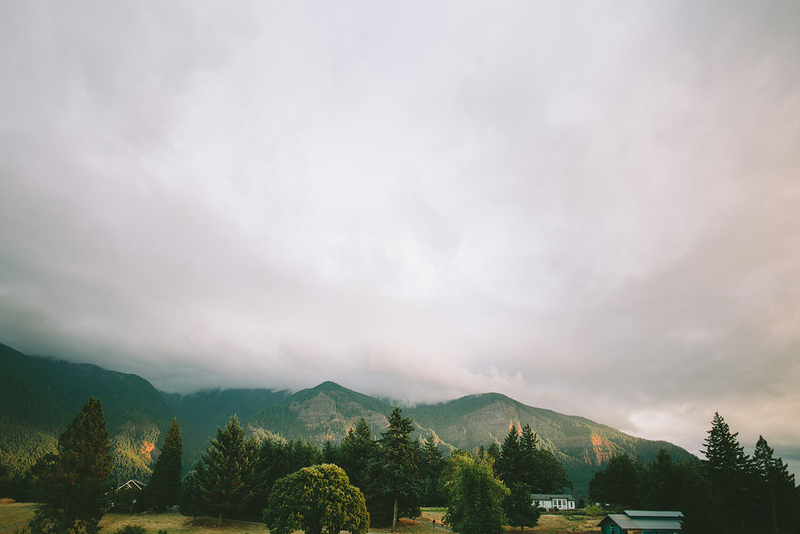 The Columbia Gorge is so breathtaking. 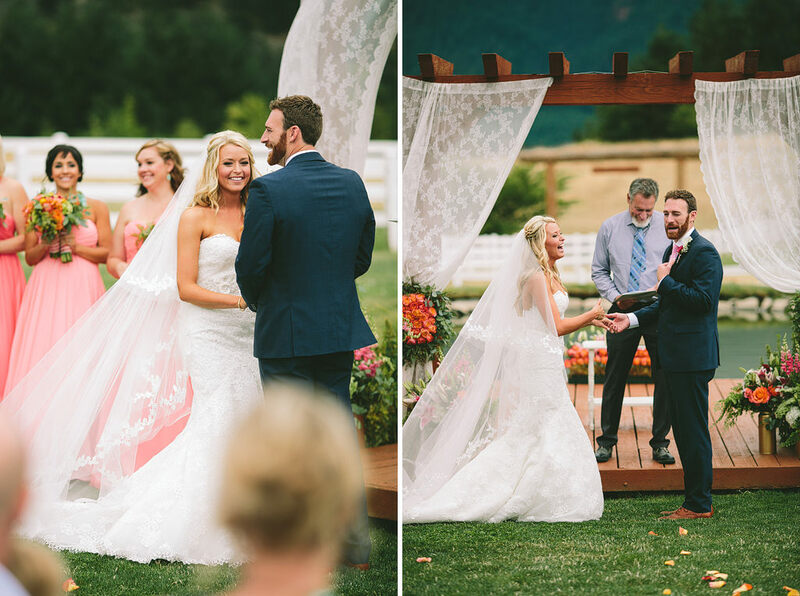 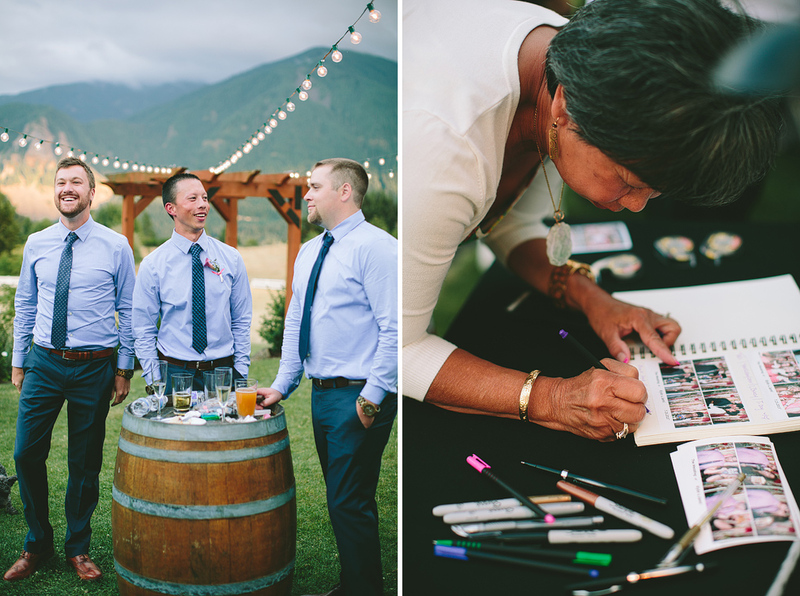 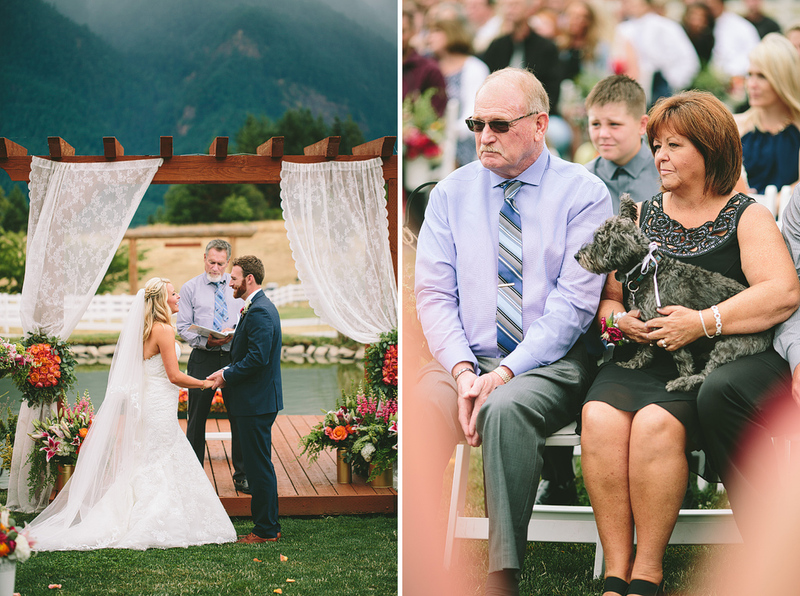 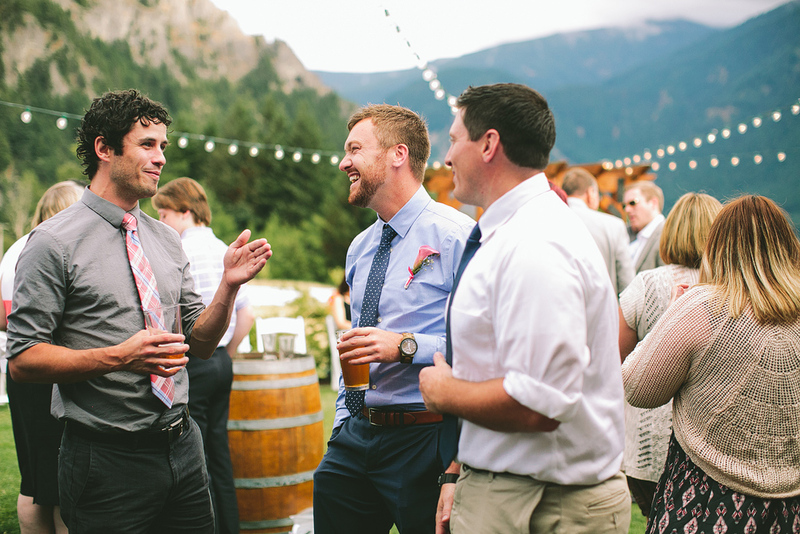 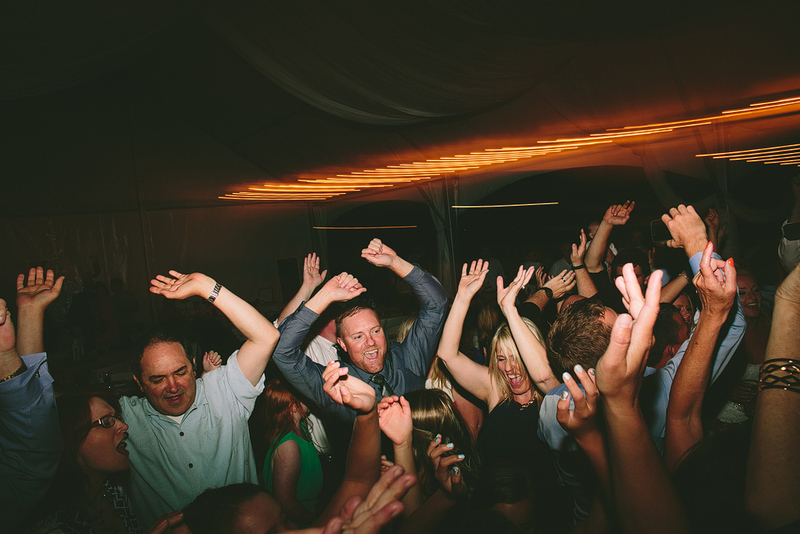 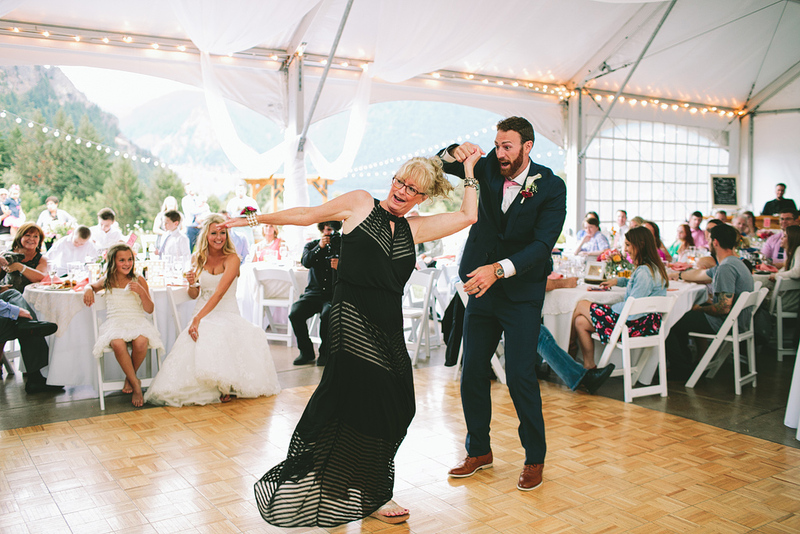 Wind Mountain Ranch is such an incredible place to get married at, and Jami and Kyle’s wedding was so perfect. 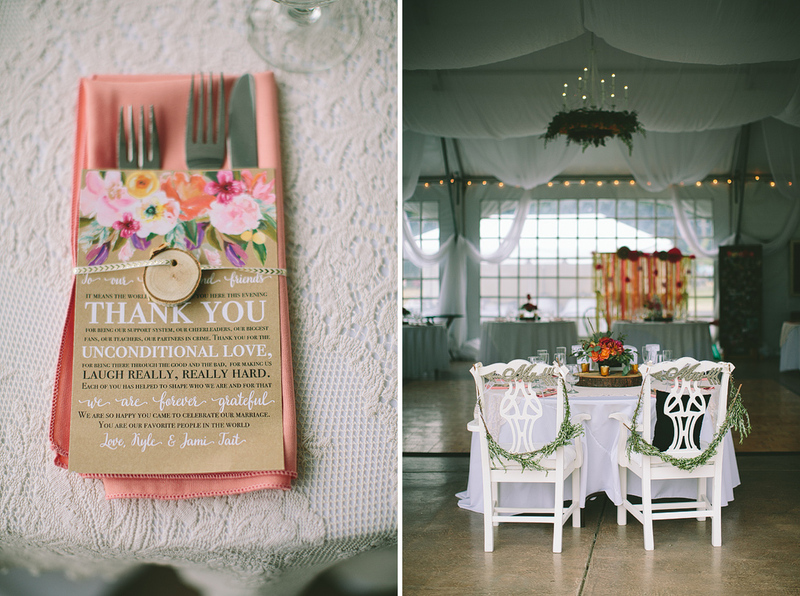 The florals, decor, every detail was beautiful! 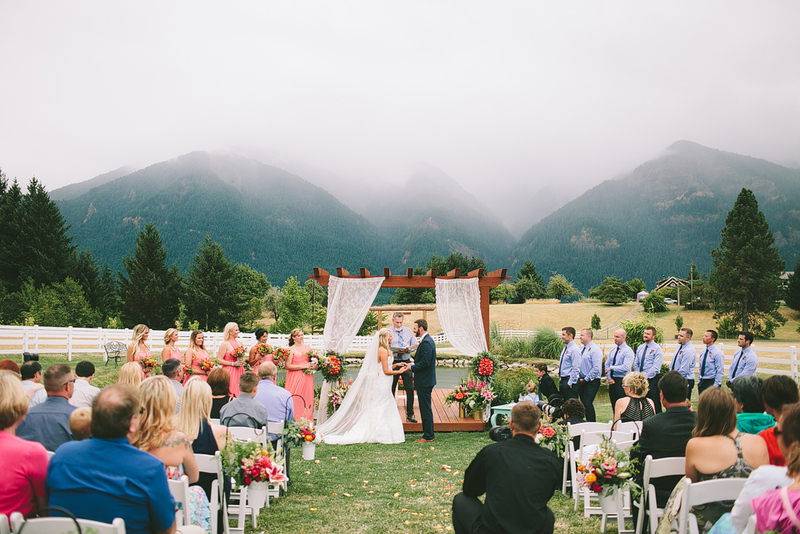 Their ceremony was so gorgeous, surrounded by such magnificent mountains. 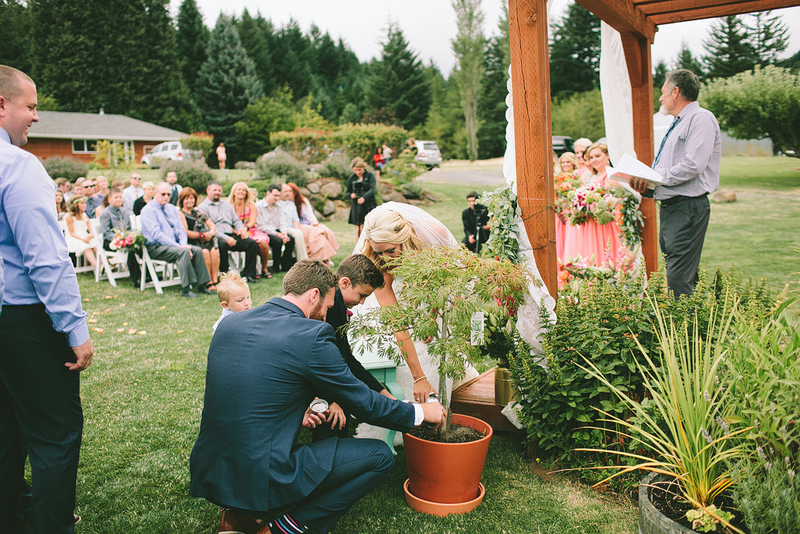 During the ceremony, they planted dirt from their respective hometowns into a maple tree, which I think is such a cool element to add. 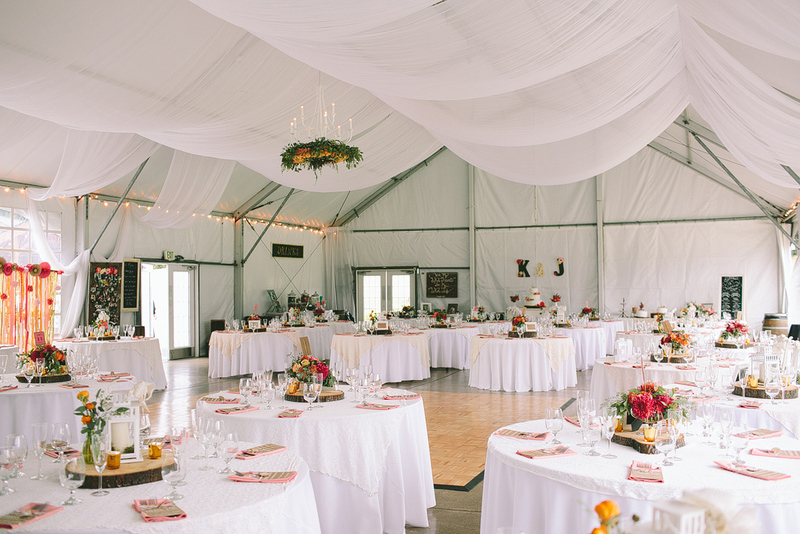 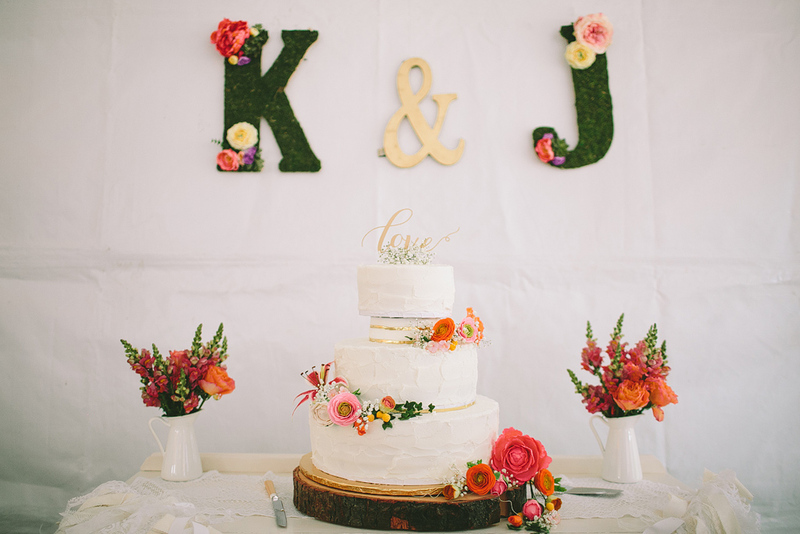 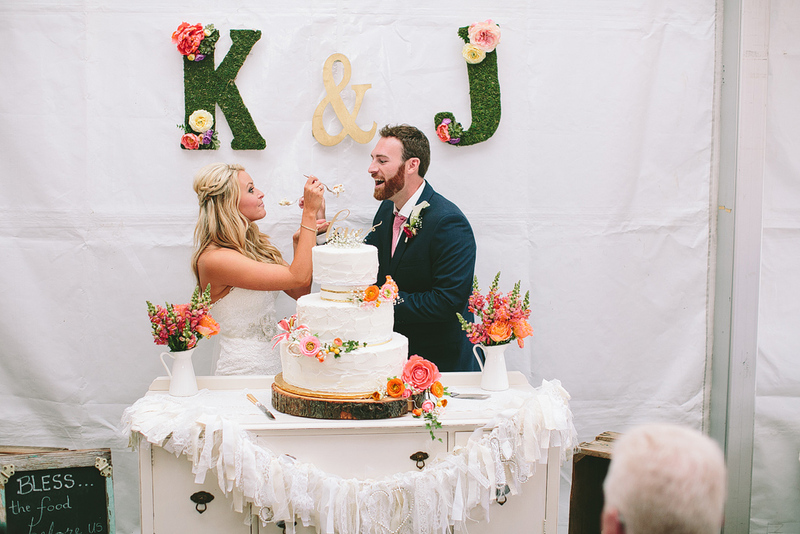 Their reception tent was filled with so many beautiful elements – a gorgeous floral chandelier, personalized drink table and guest book table, and such an awesome cake table! 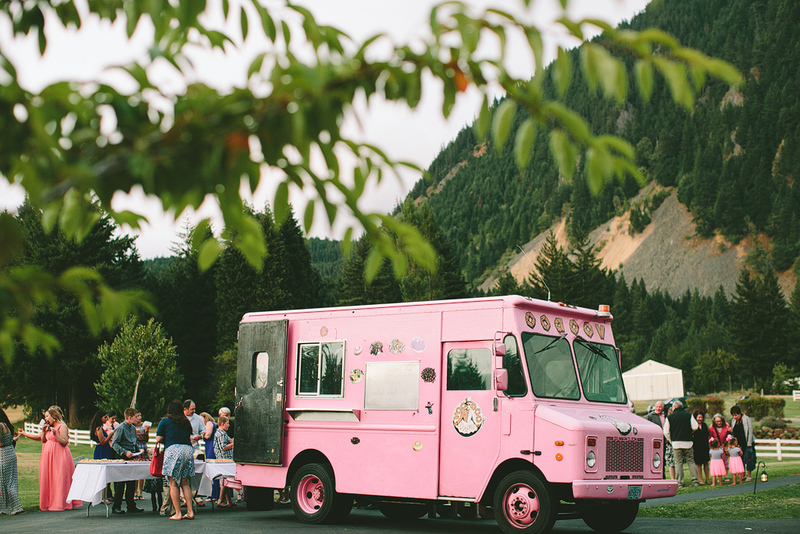 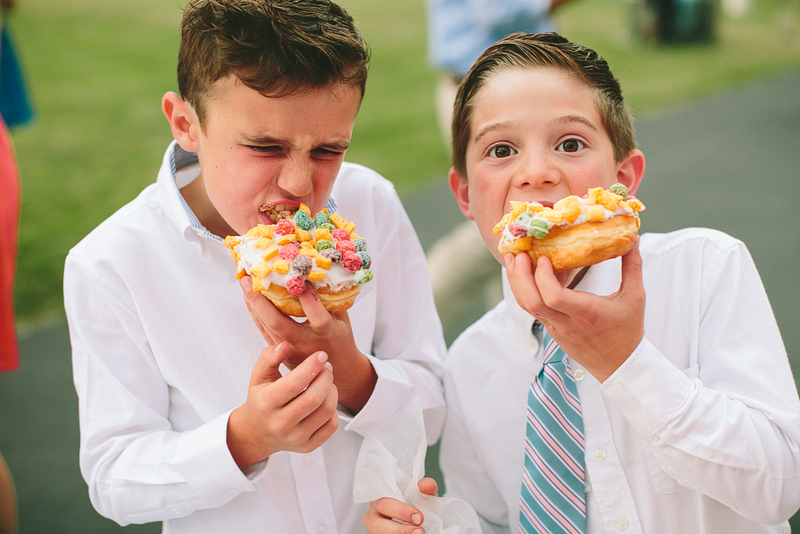 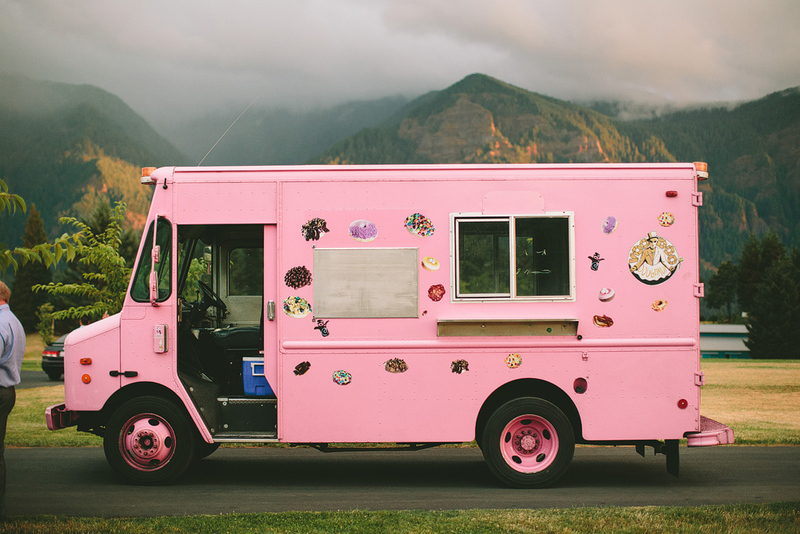 The evening was perfect for sunset photos, then soon after, Voodoo Doughnuts food truck arrived with an endless supply of doughnuts! 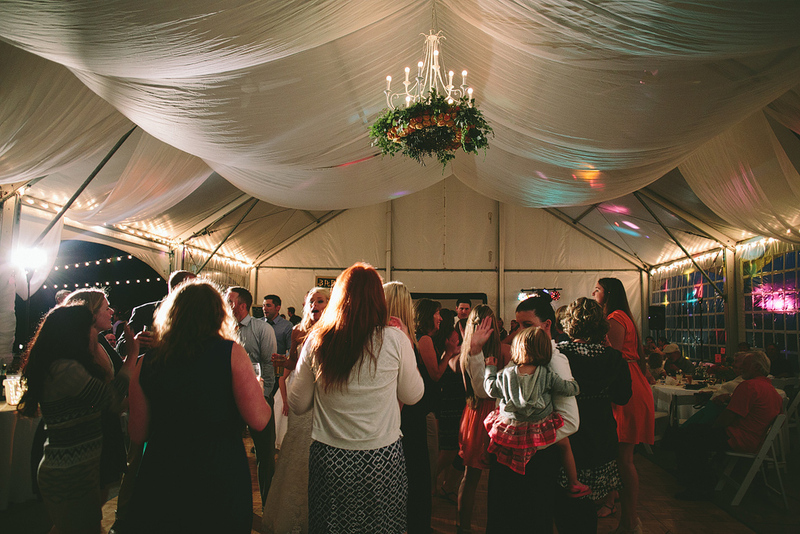 It was such a wonderful celebration! 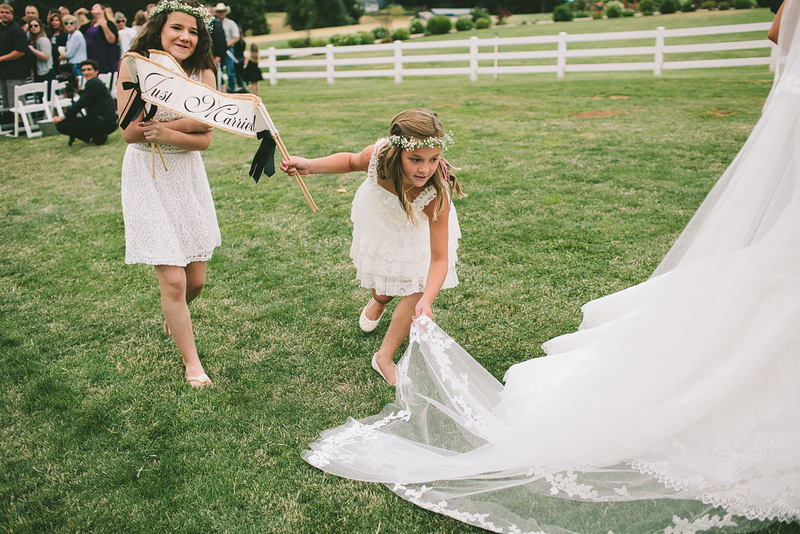 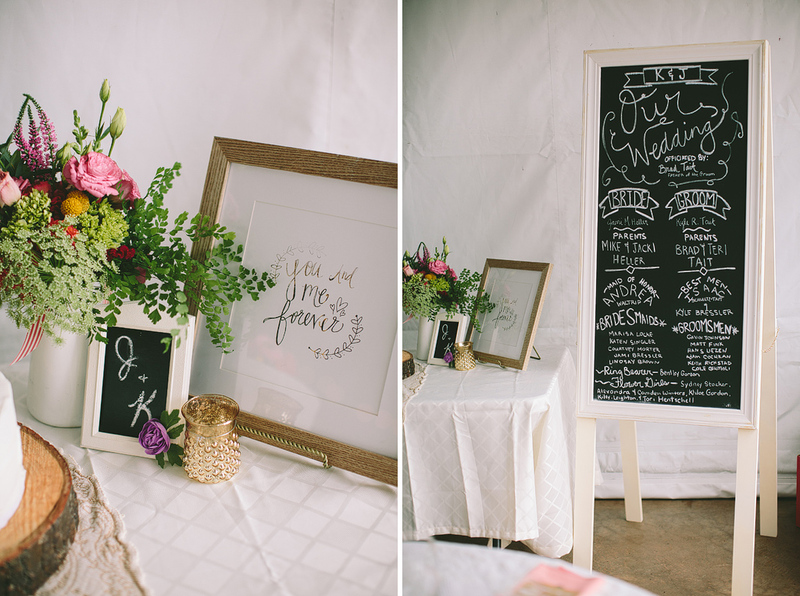 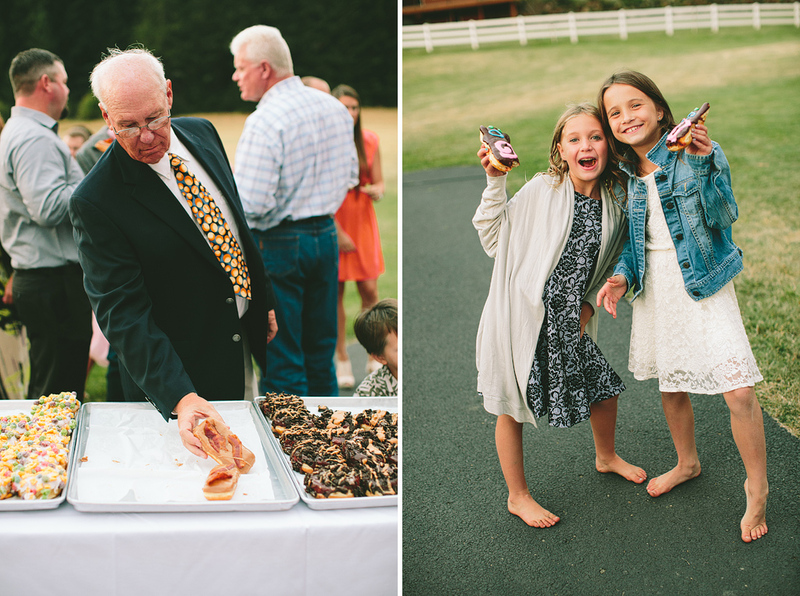 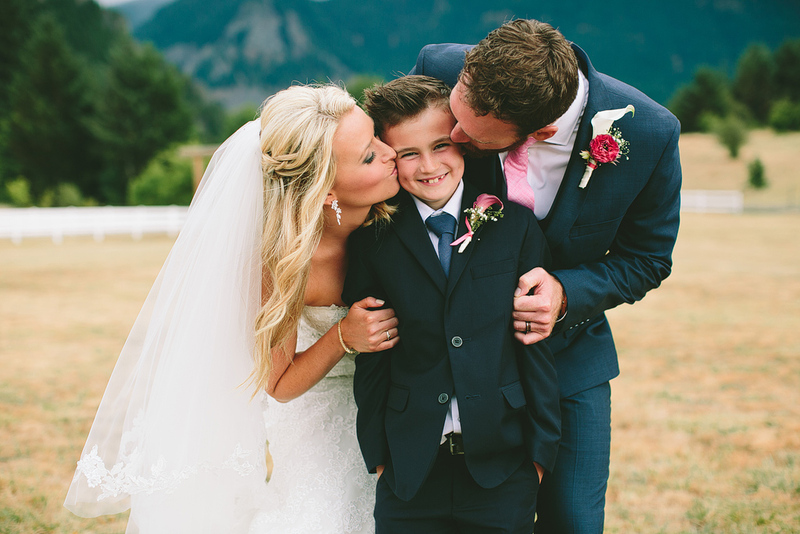 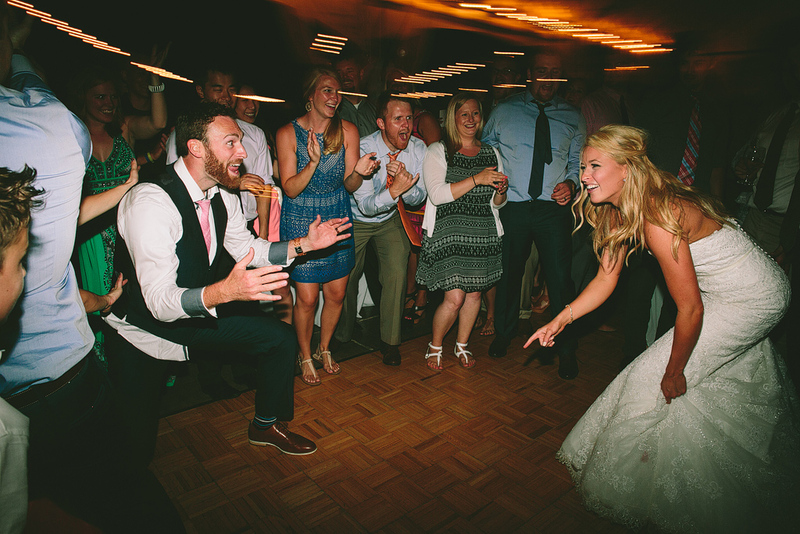 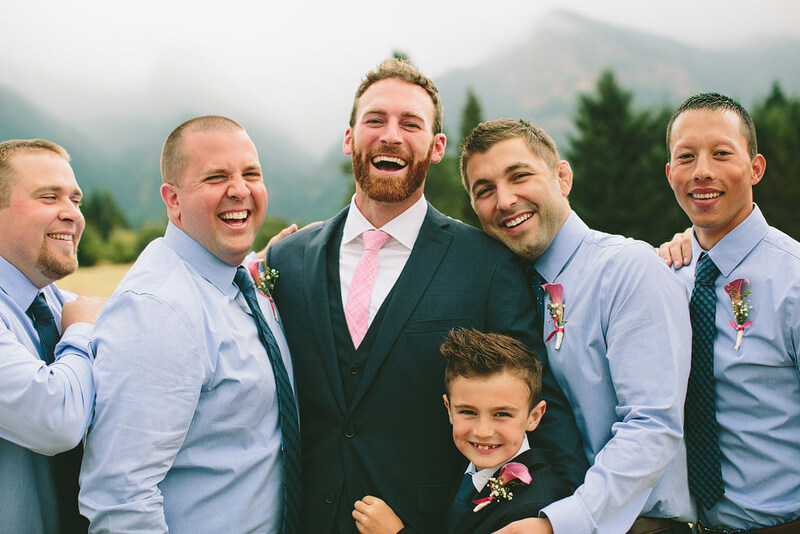 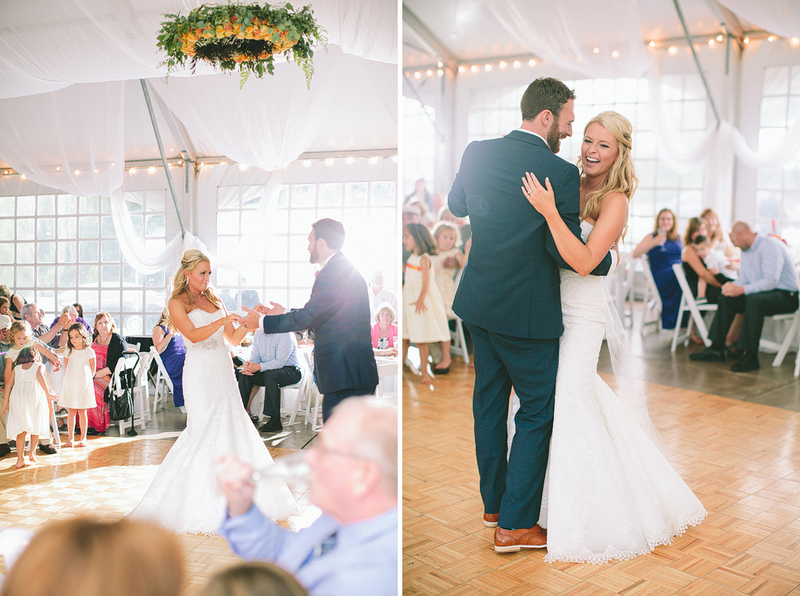 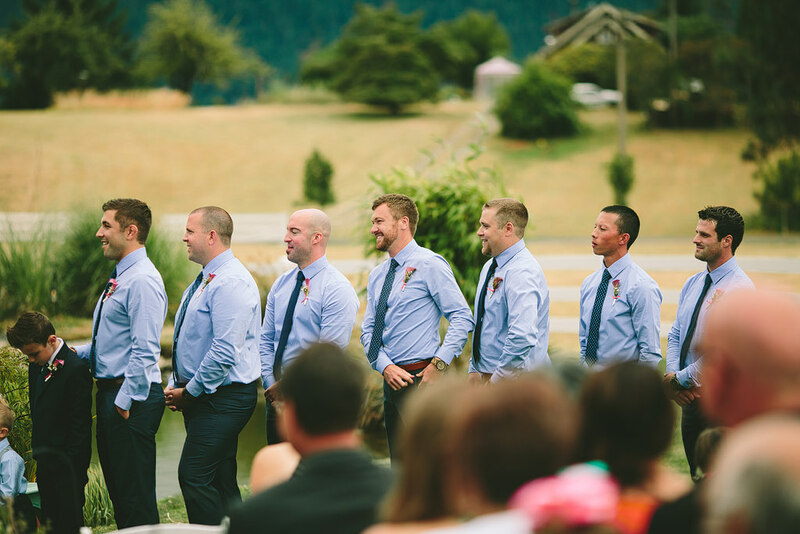 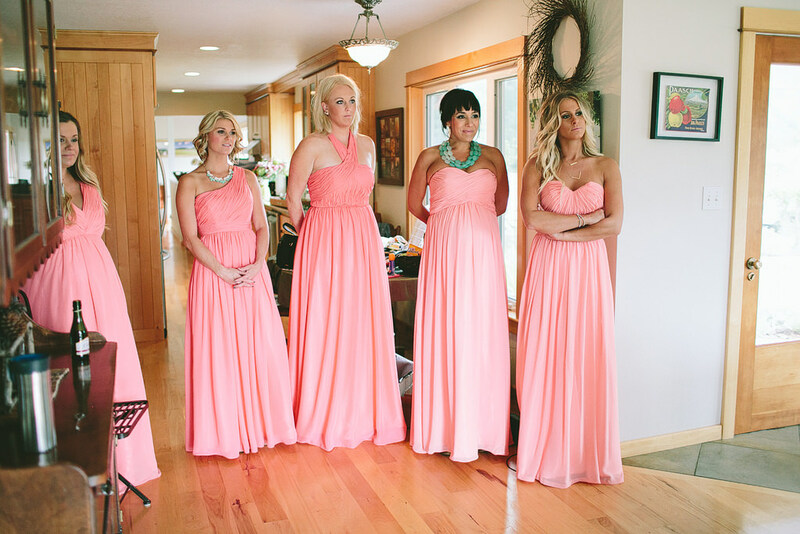 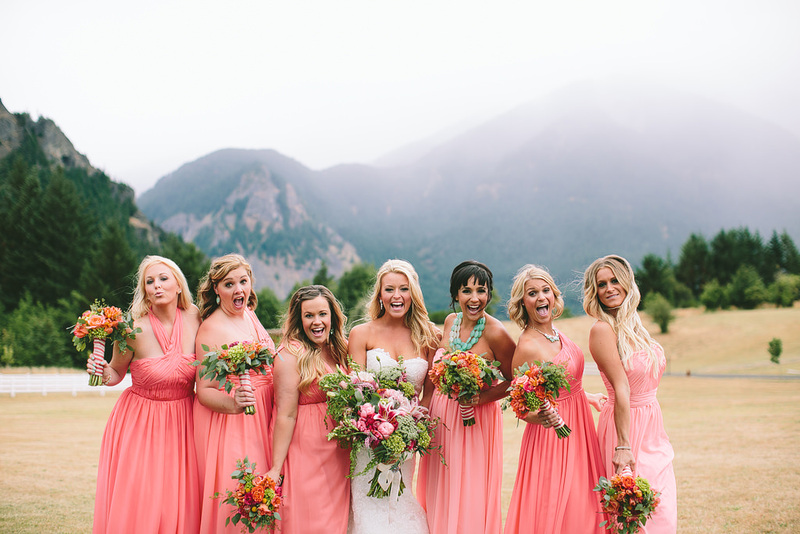 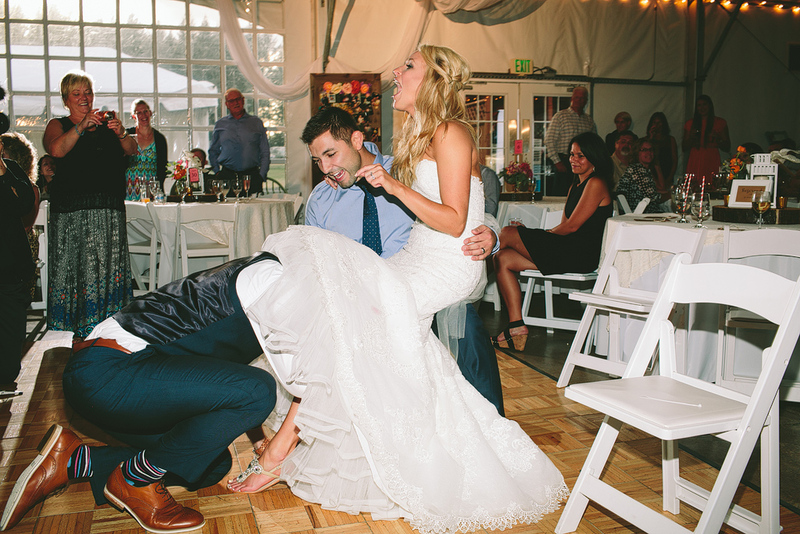 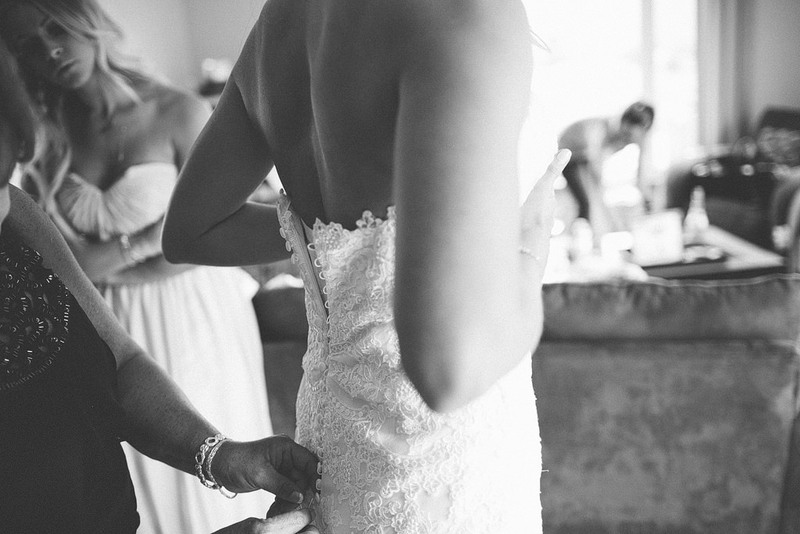 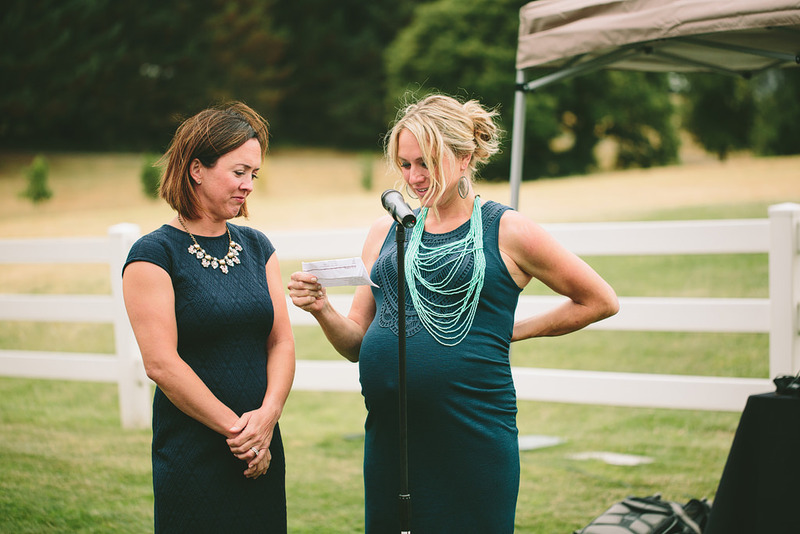 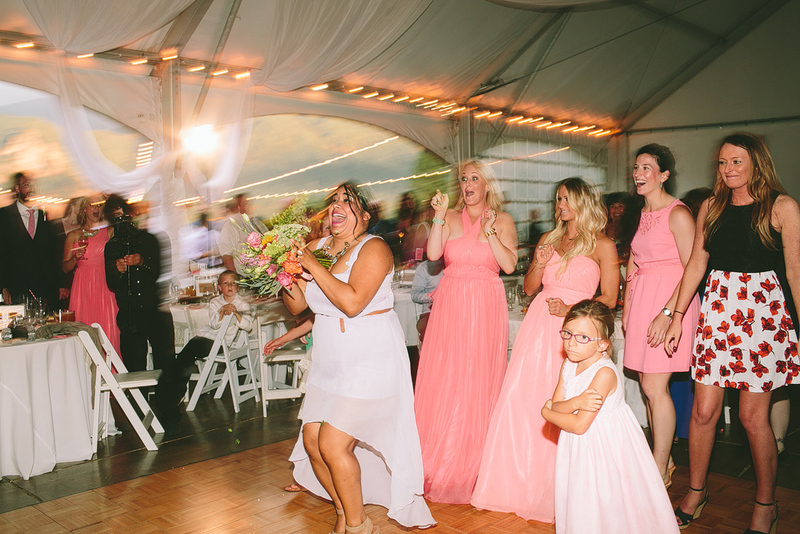 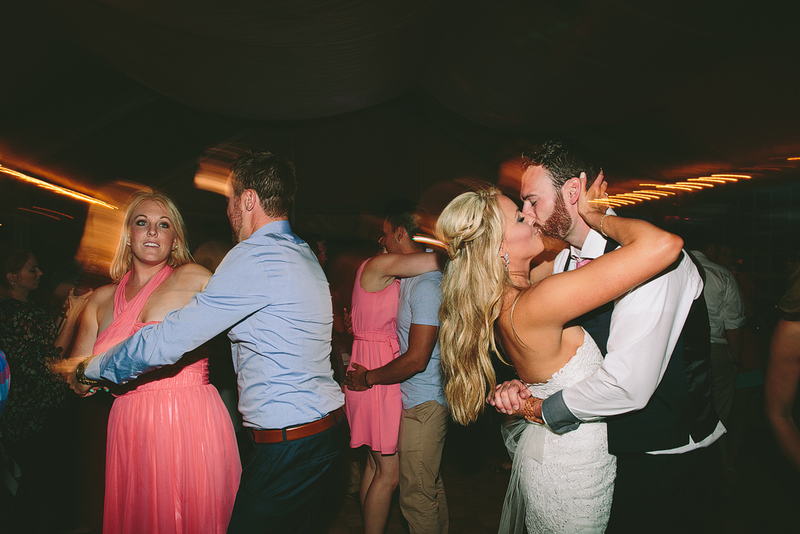 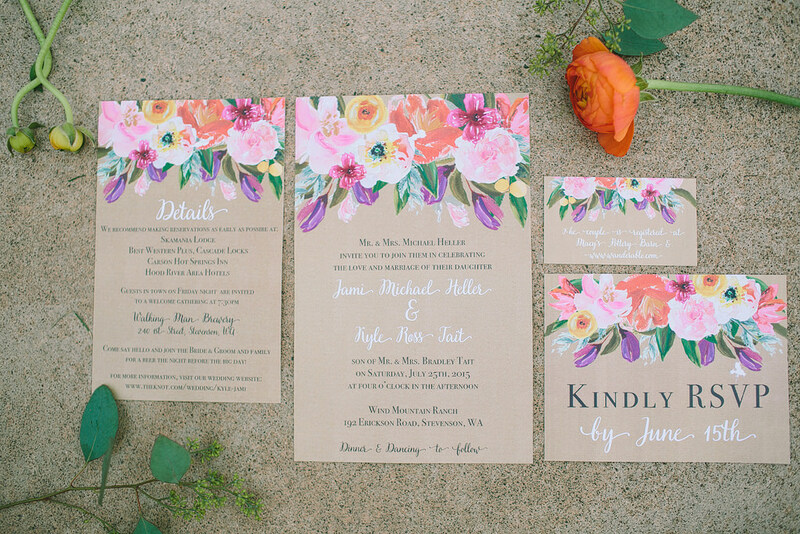 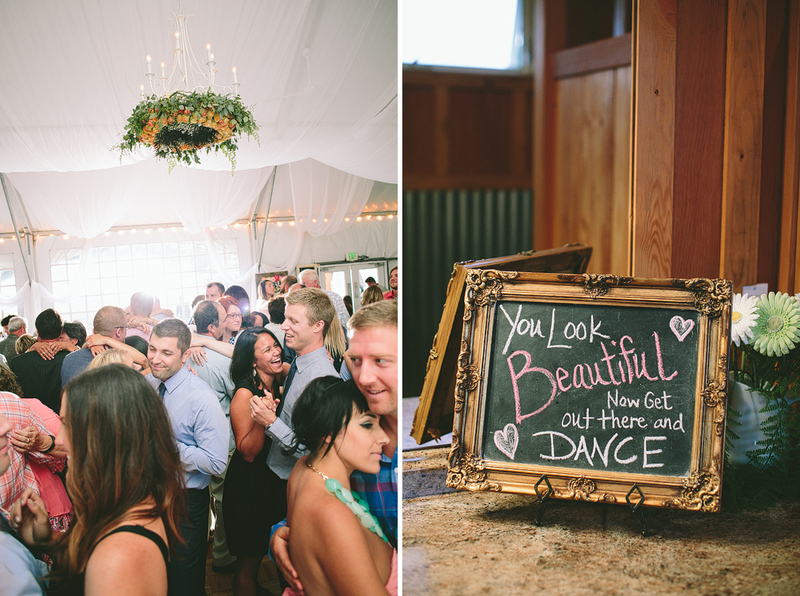 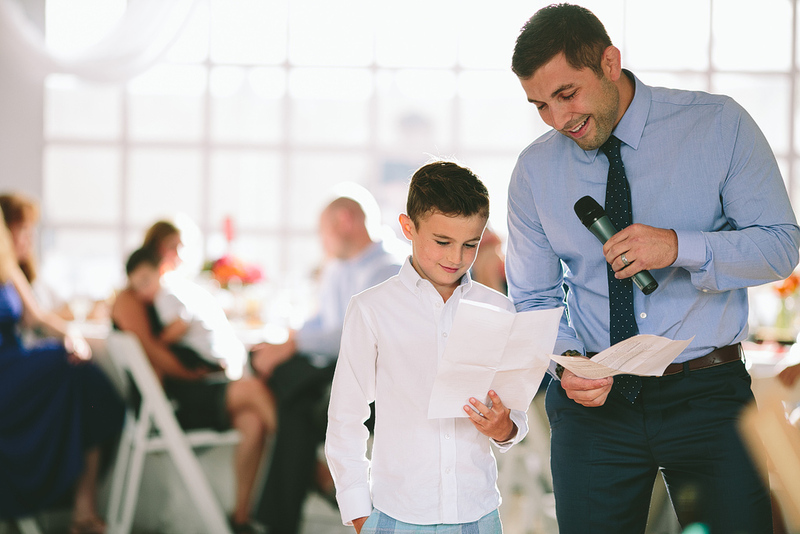 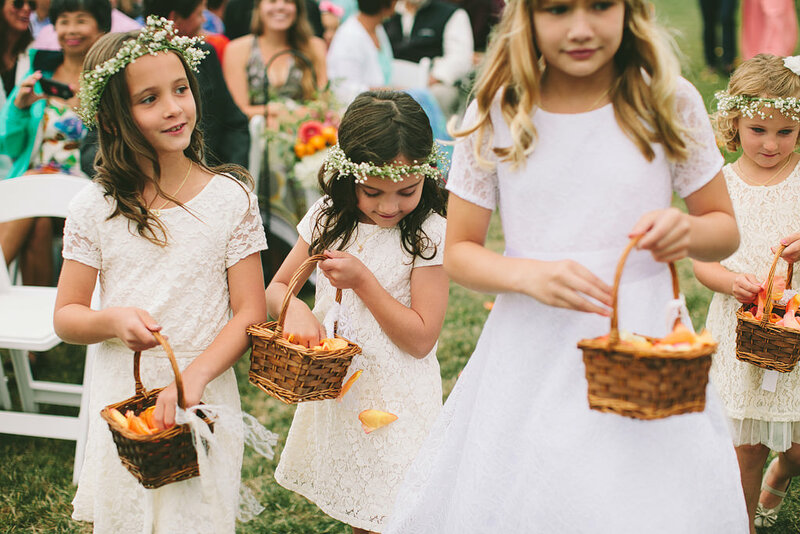 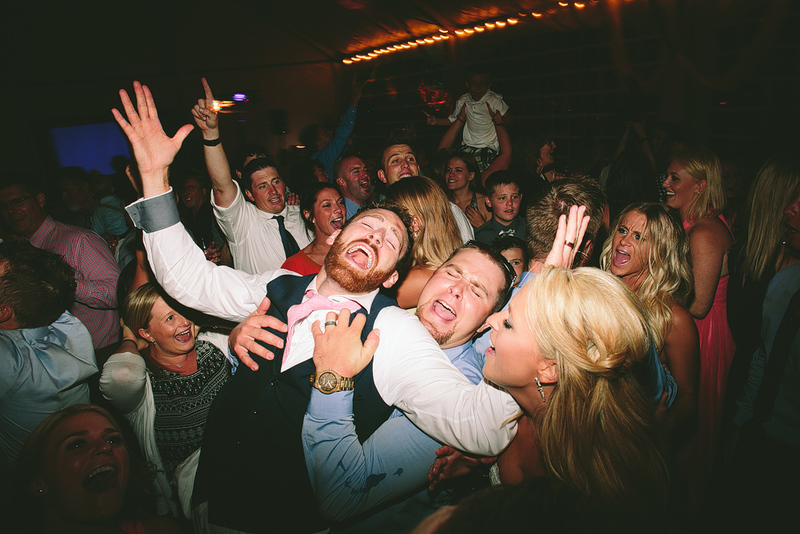 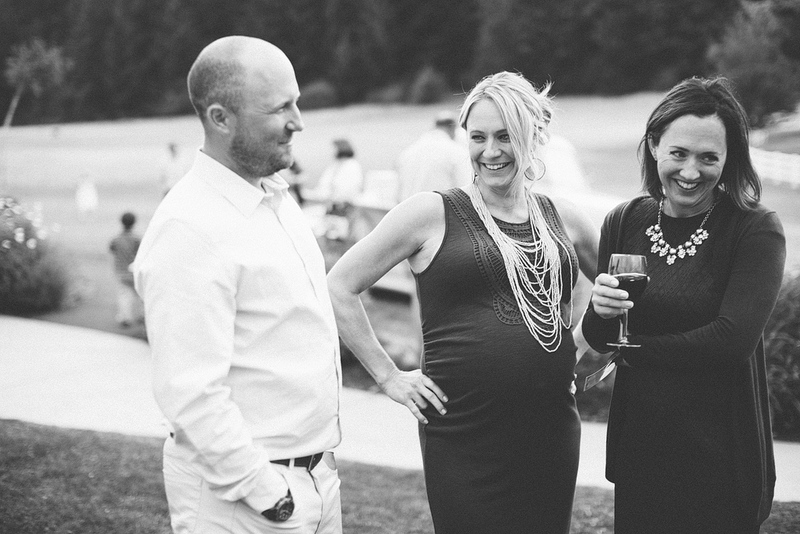 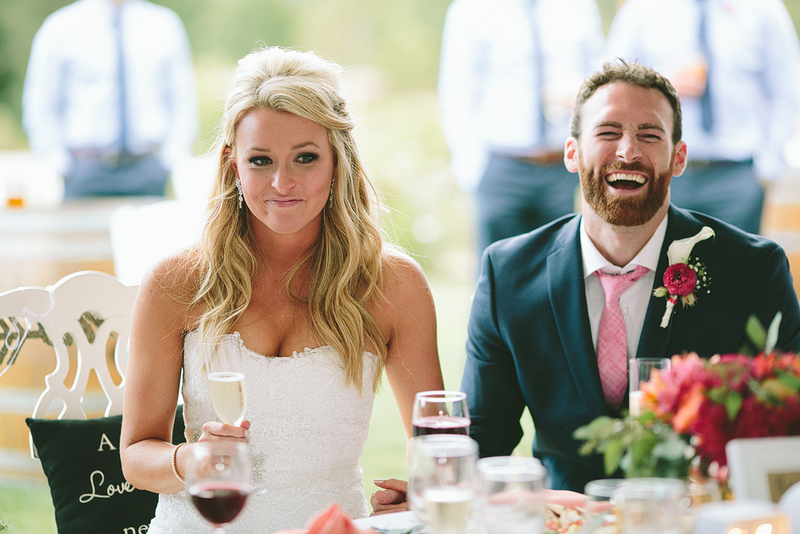 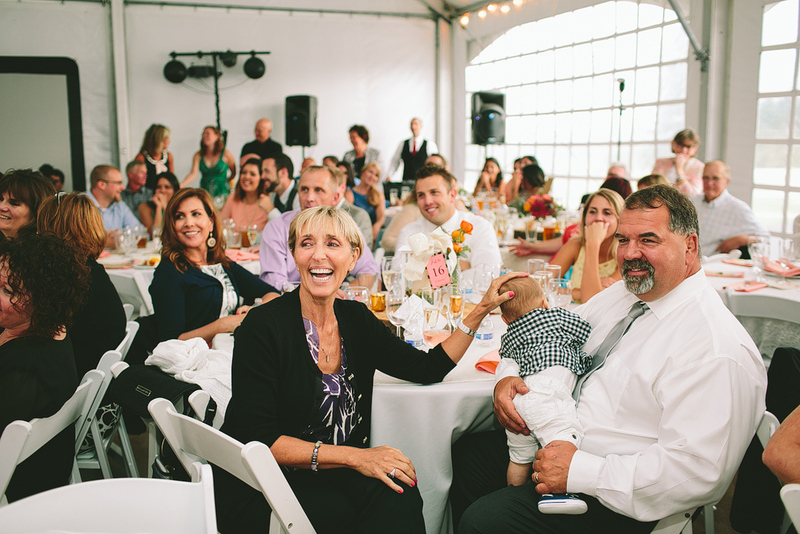 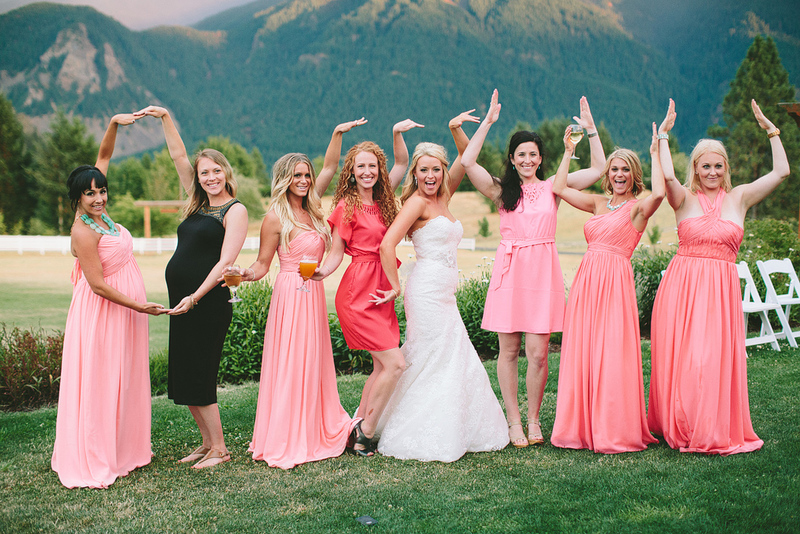 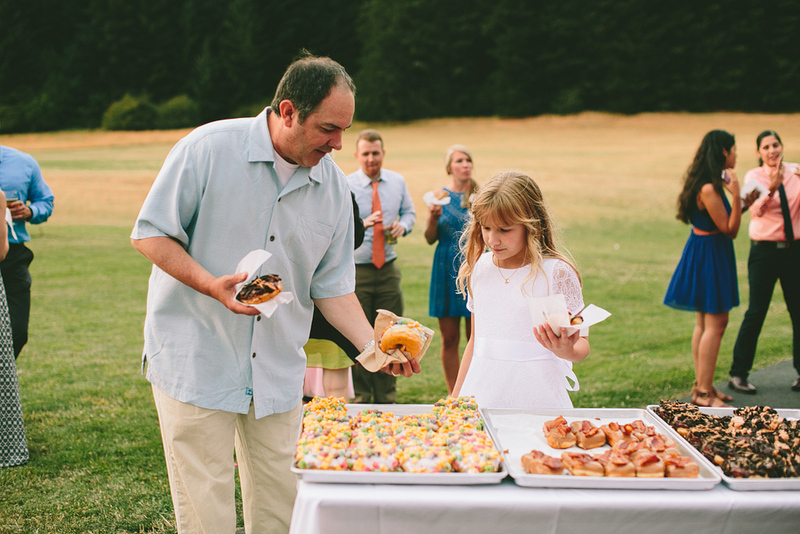 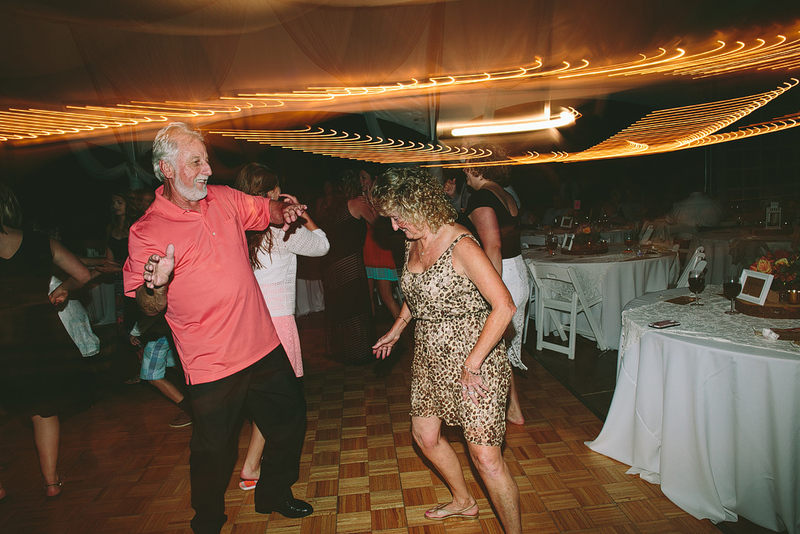 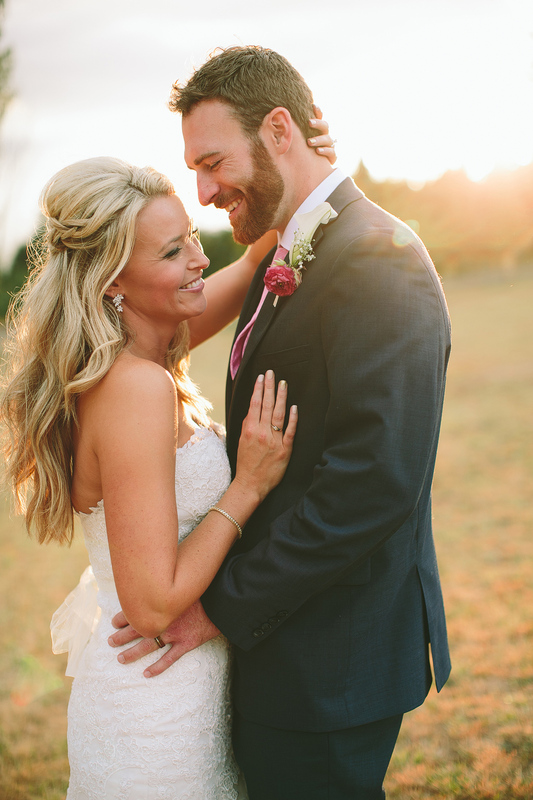 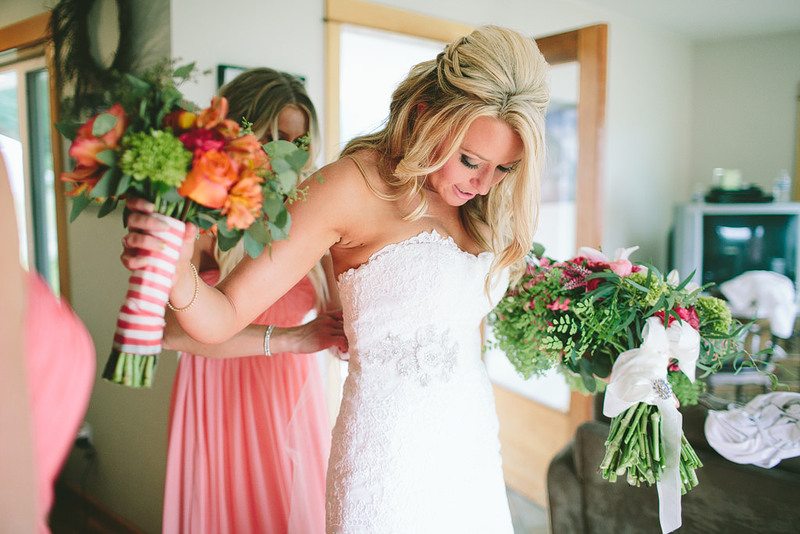 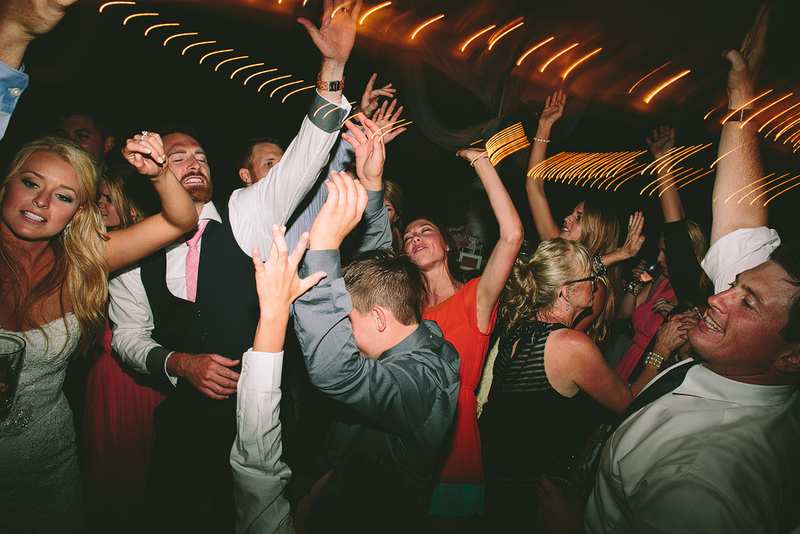 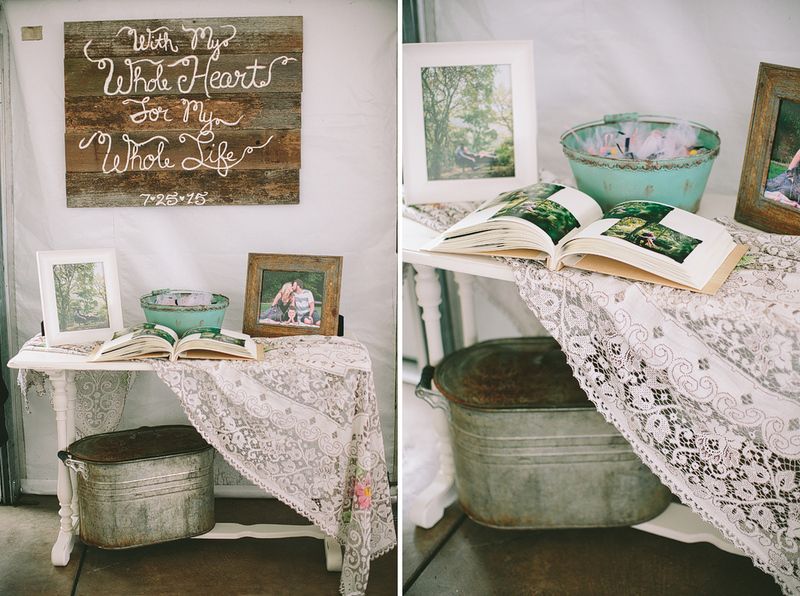 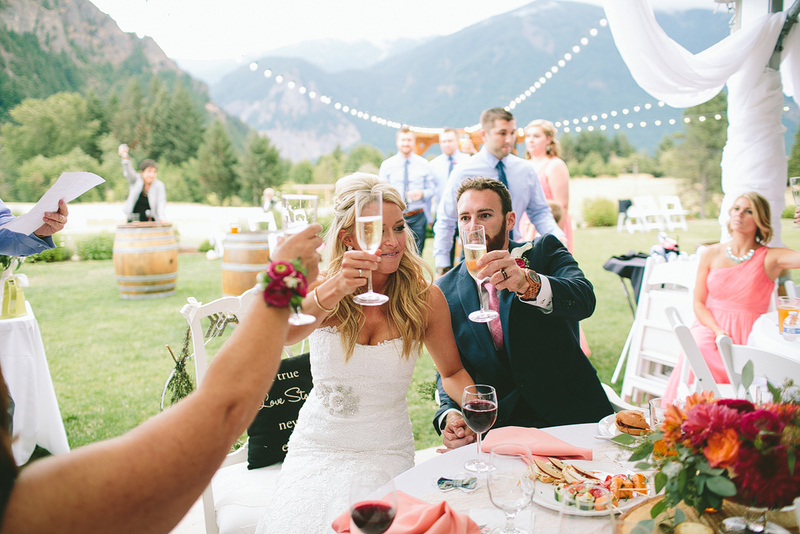 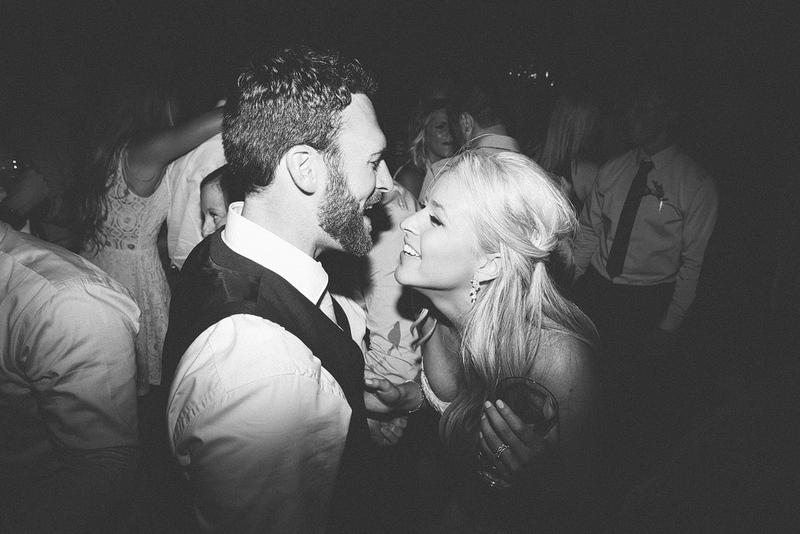 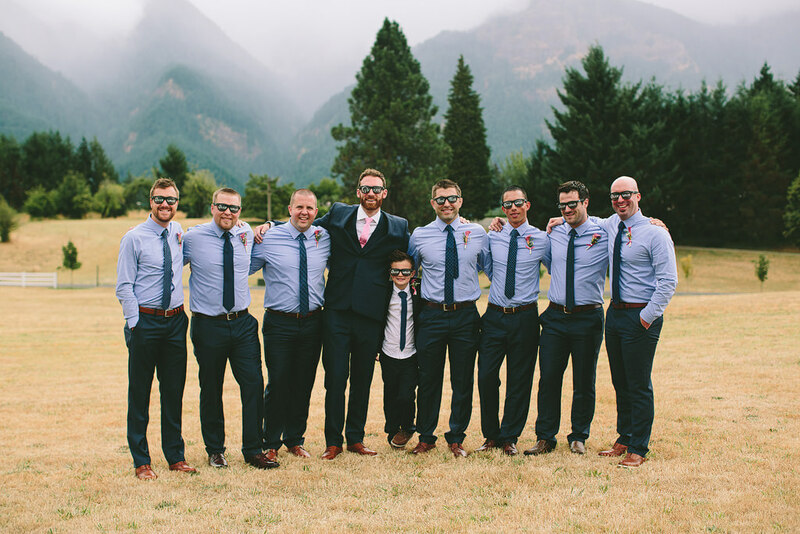 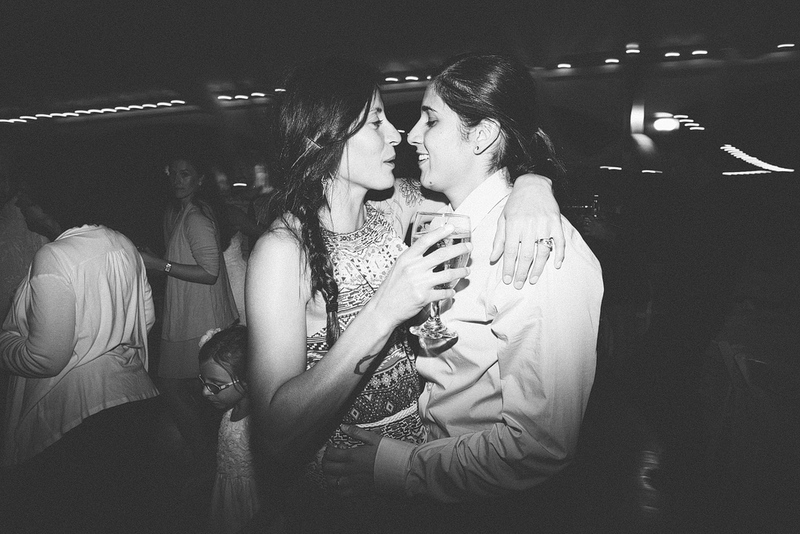 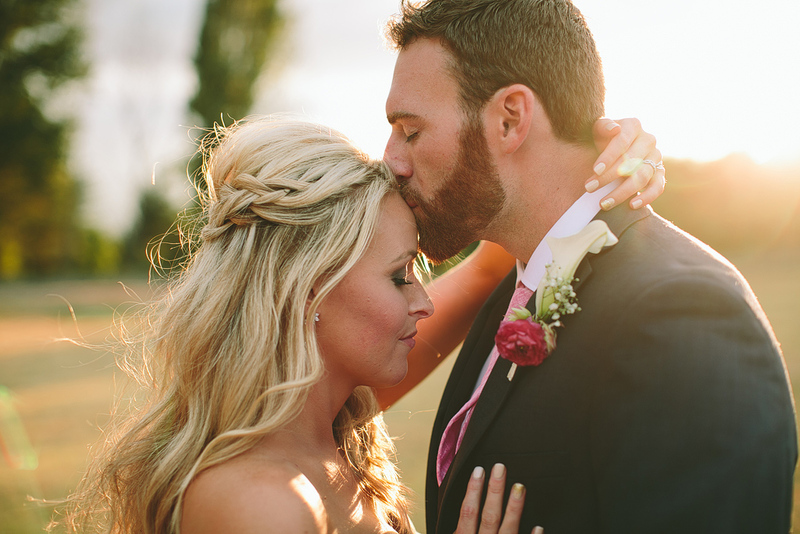 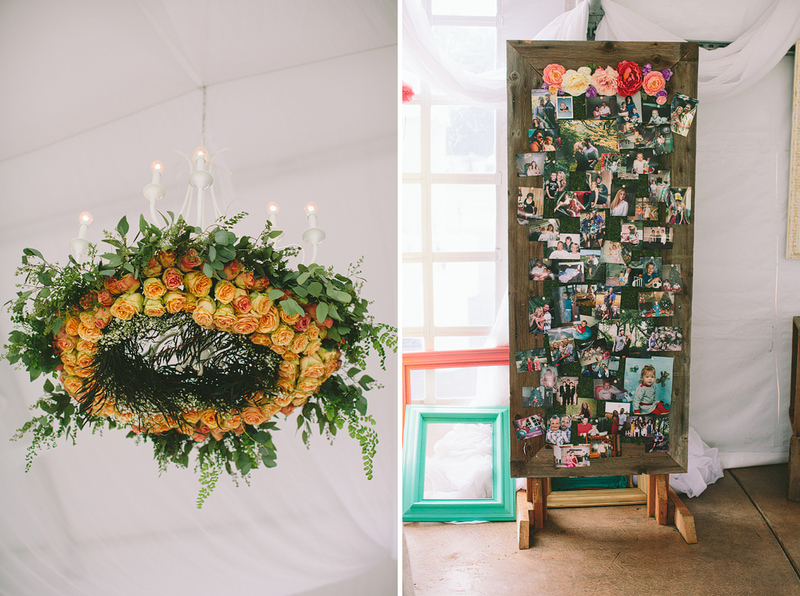 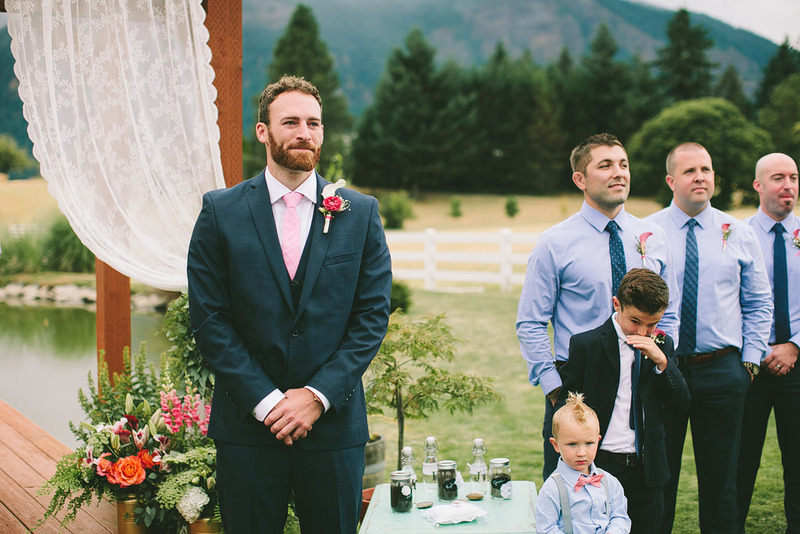 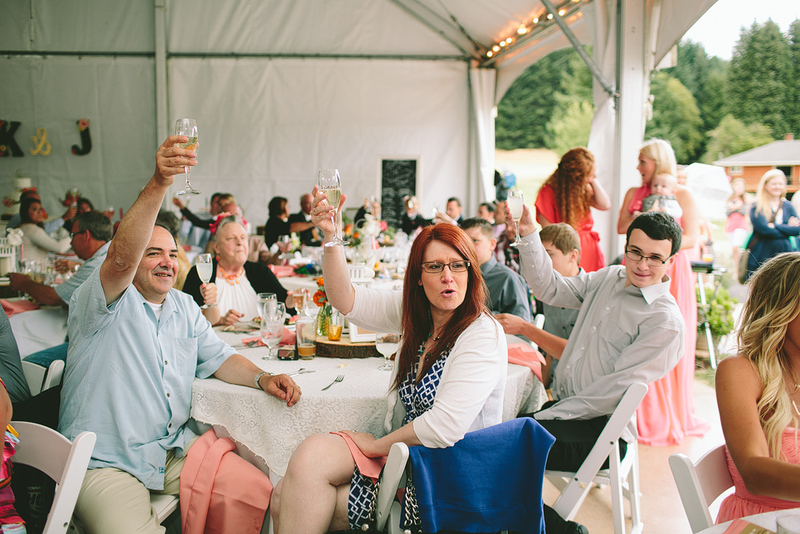 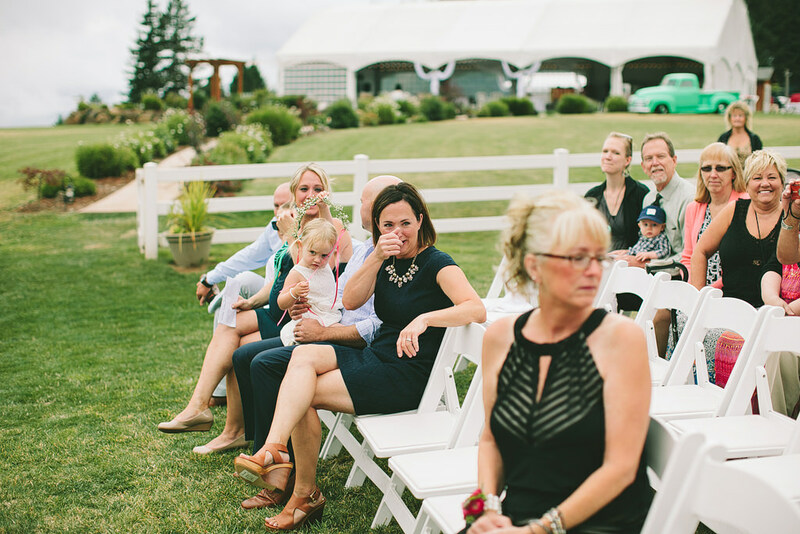 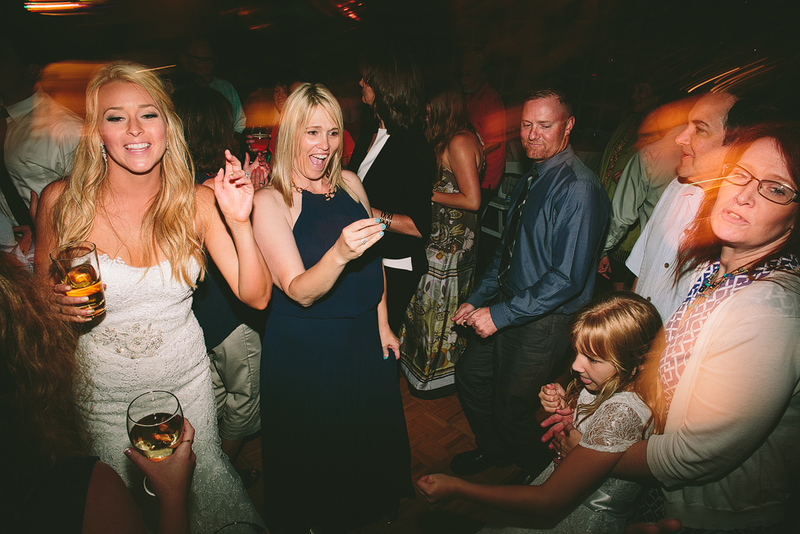 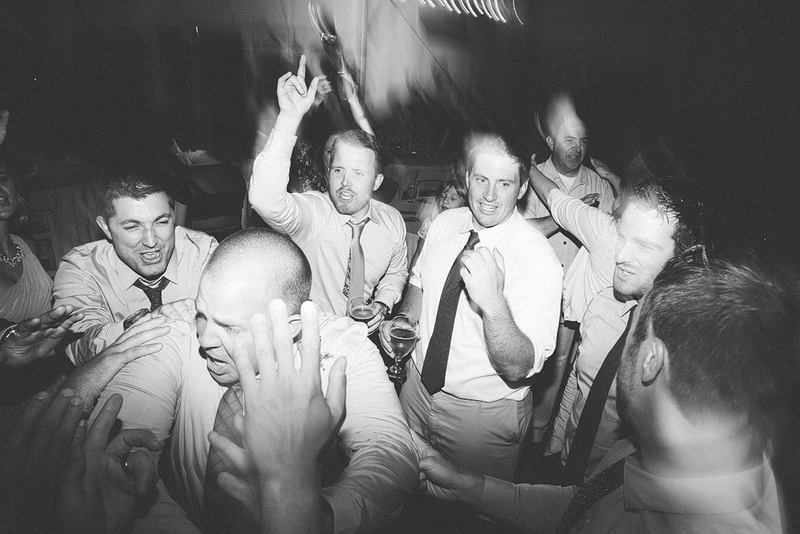 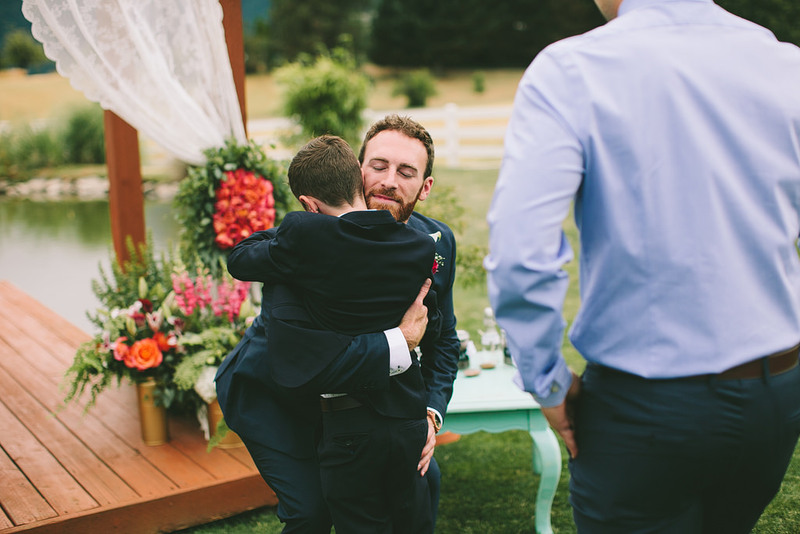 One of my favorite wedding blogs, Wedding Chicks, featured their wedding, here! 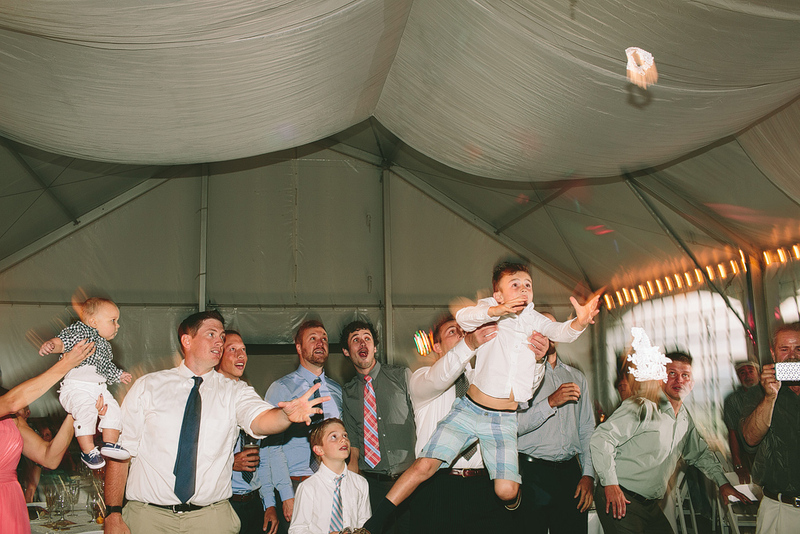 We’re super excited about the feature. 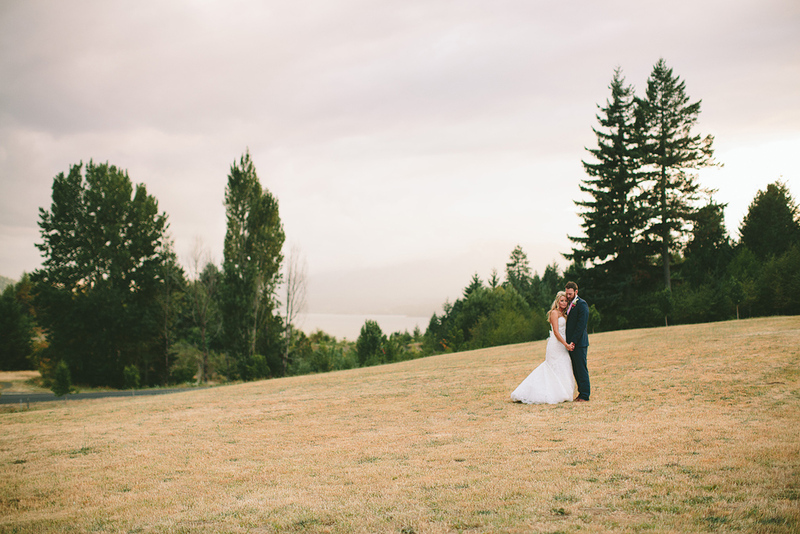 If you missed Jami & Kyle’s foggy beautiful engagement session, you can see it, here.